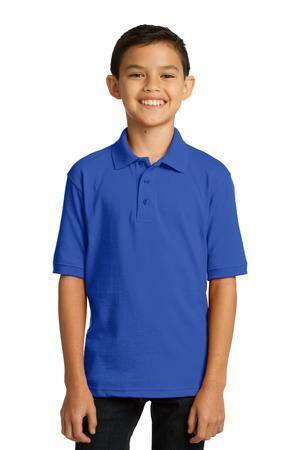 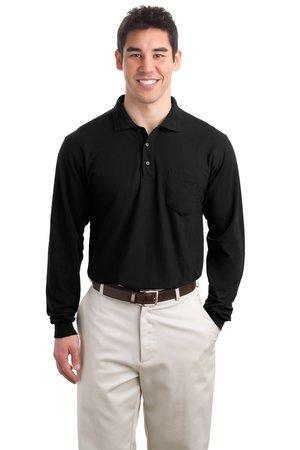 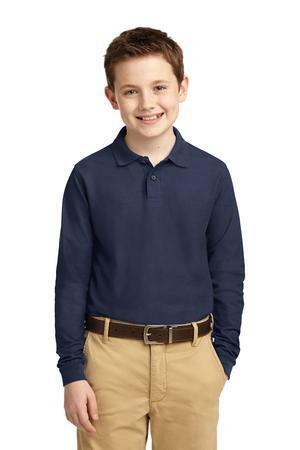 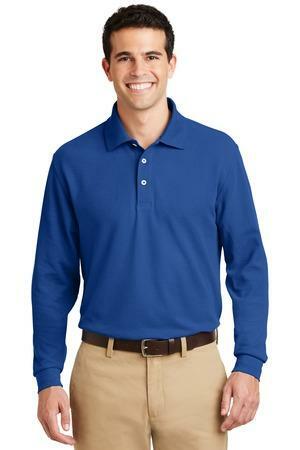 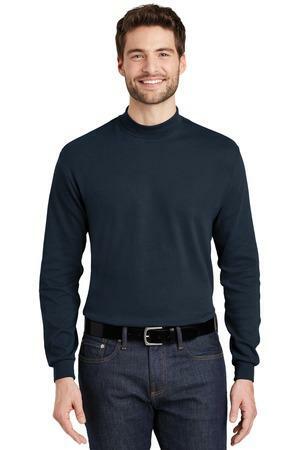 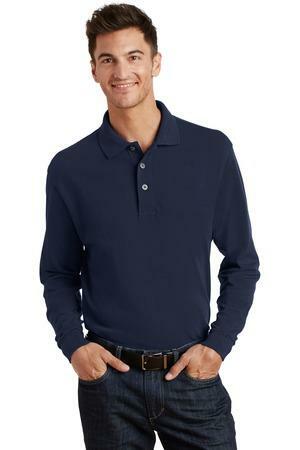 Our largest category is polo shirts. 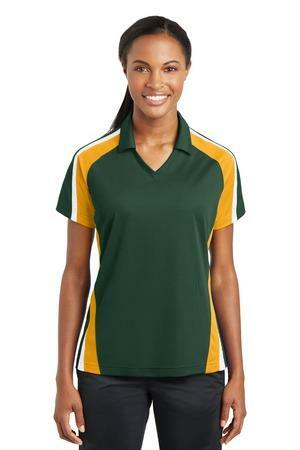 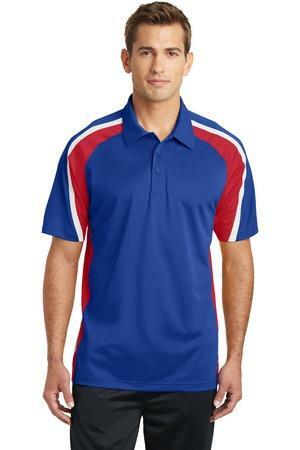 Read more for various types of Polo Shirt Fabrics. 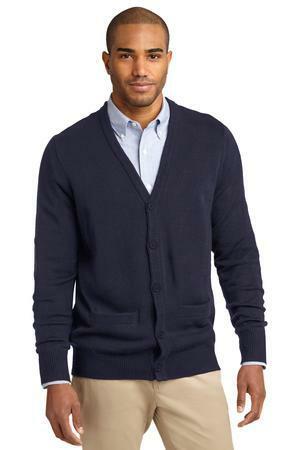 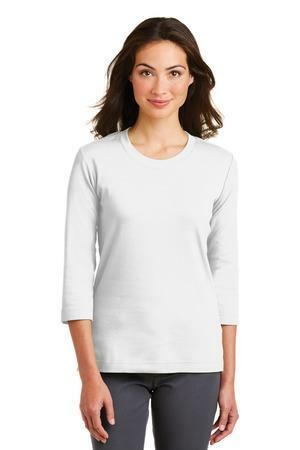 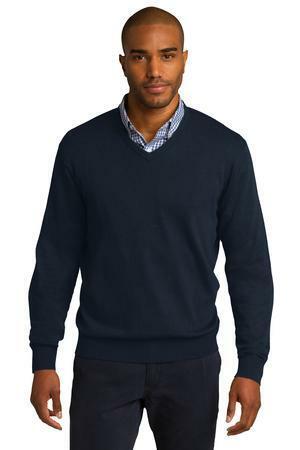 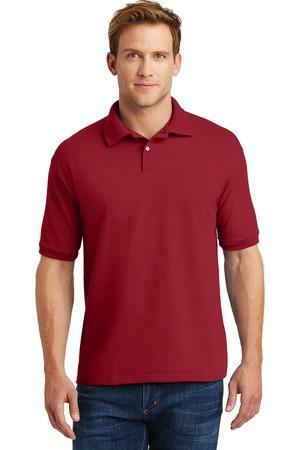 Cotton is the most widely used natural fiber to make clothing. 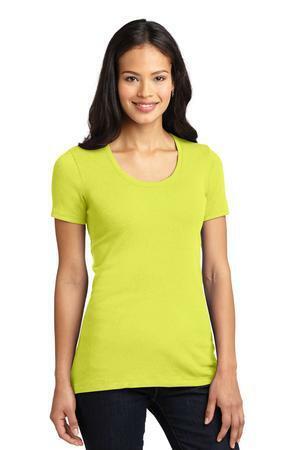 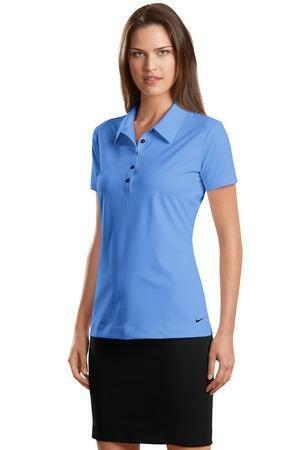 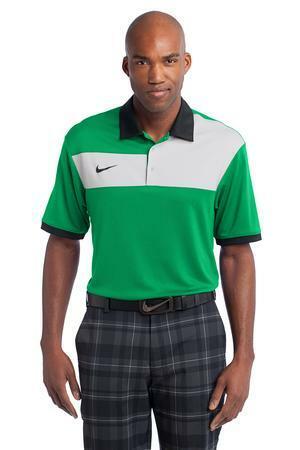 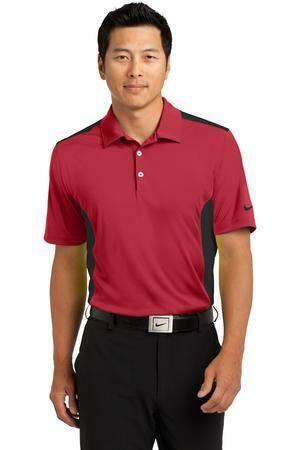 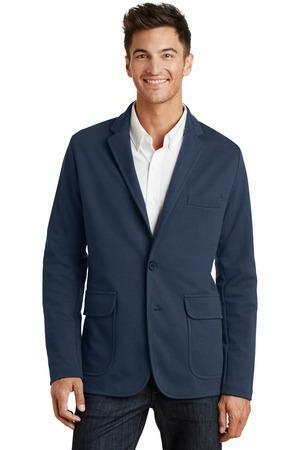 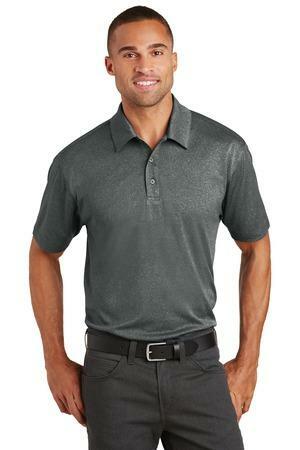 It is a great choice for hot temperatures as it is a fully breathable fabric, . 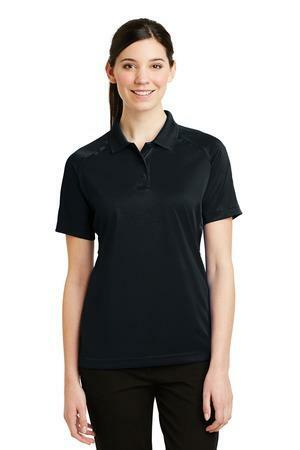 For most screen printers, 100% cotton is great to work with. 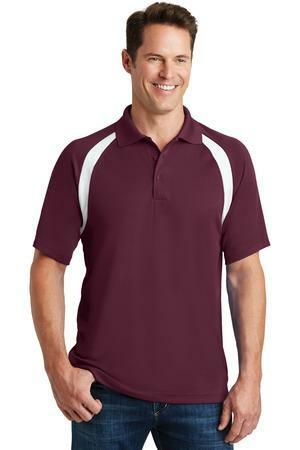 Cotton cooperates with most any ink and printing method, and will hold ink longer than other fabrics. 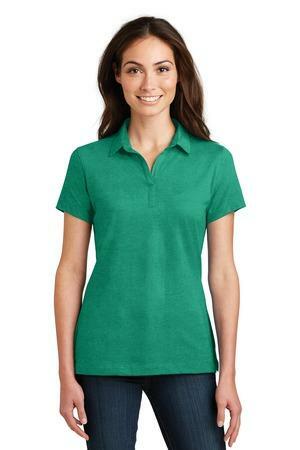 Cotton is a favorite for many of our customers for reasons we completely understand. 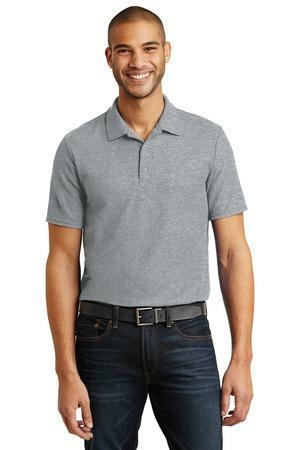 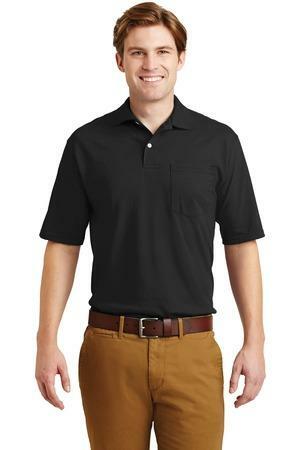 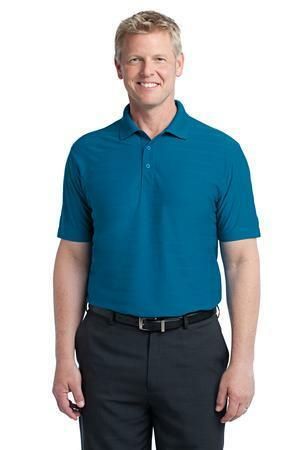 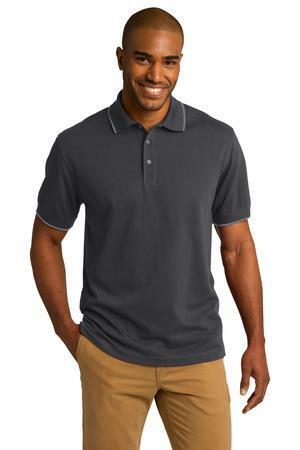 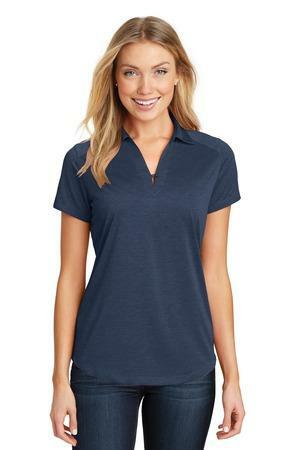 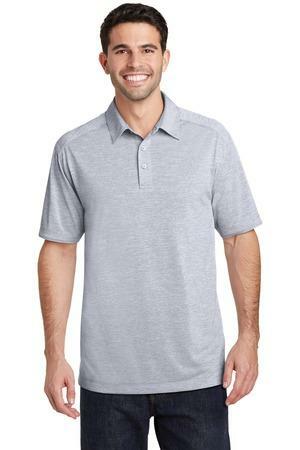 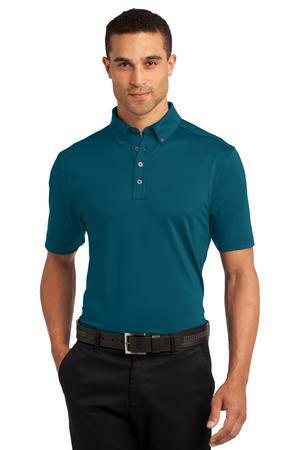 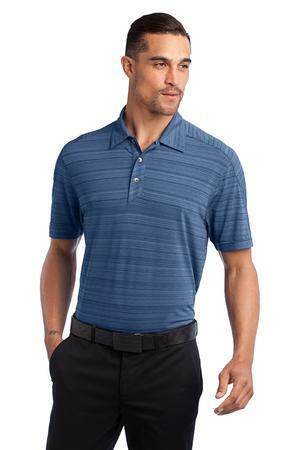 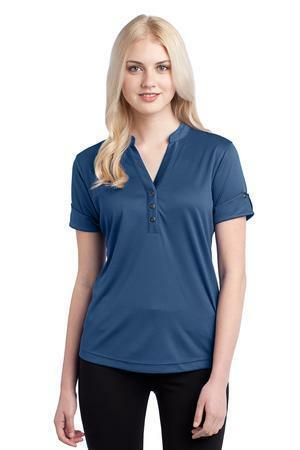 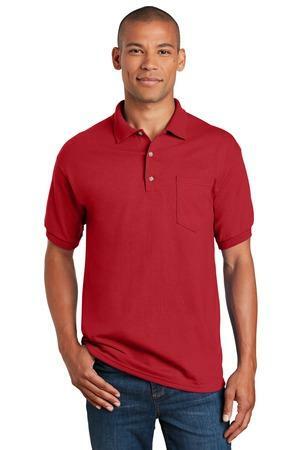 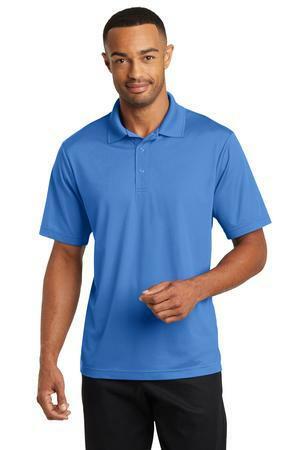 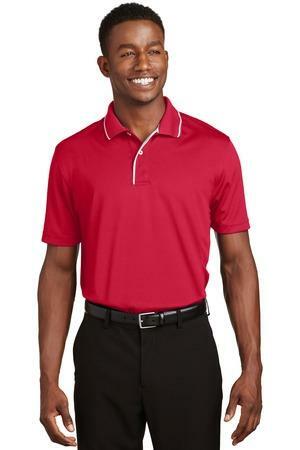 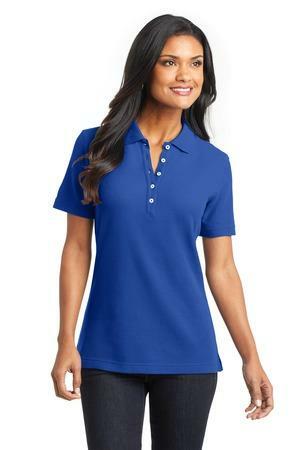 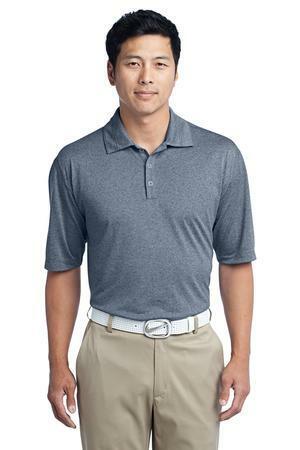 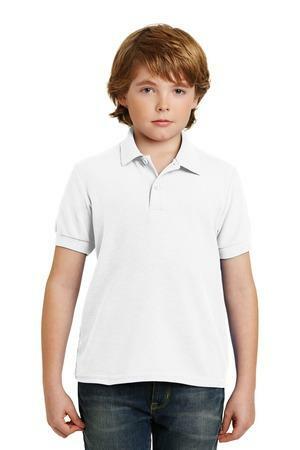 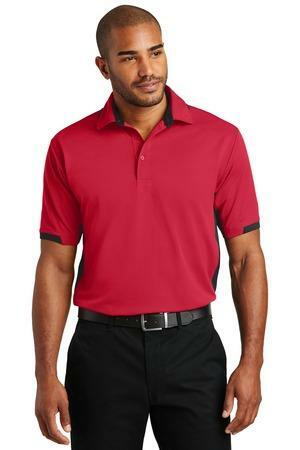 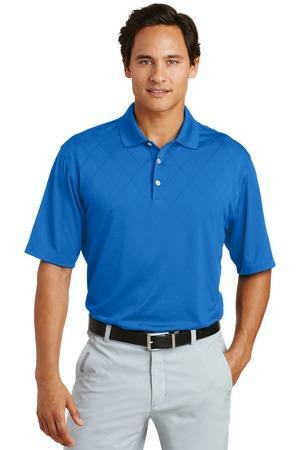 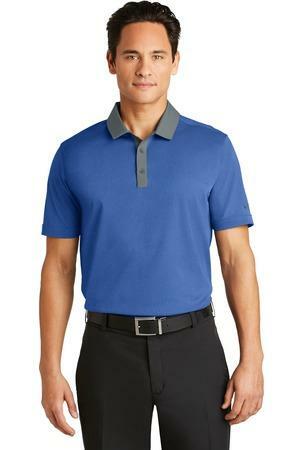 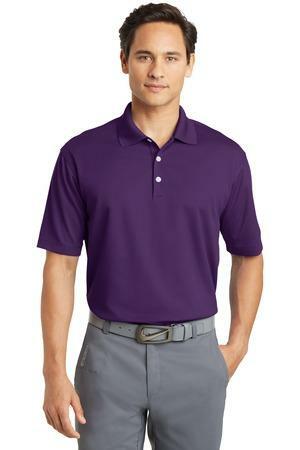 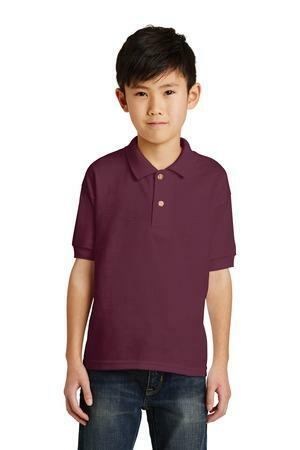 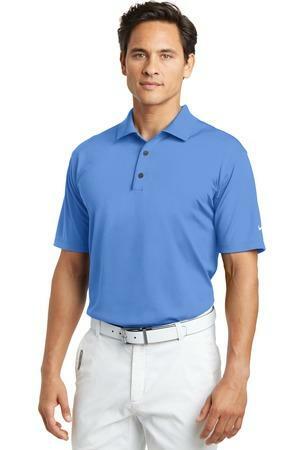 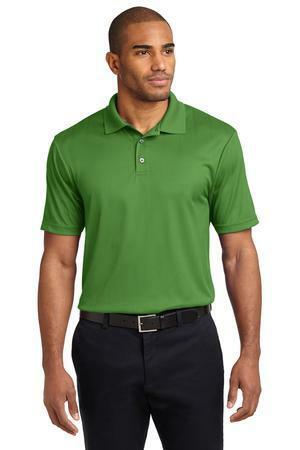 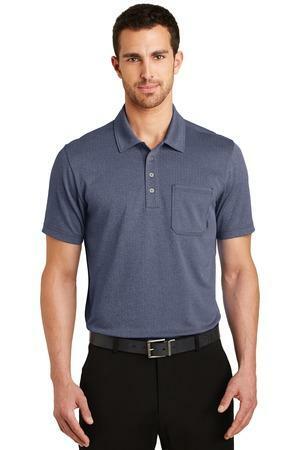 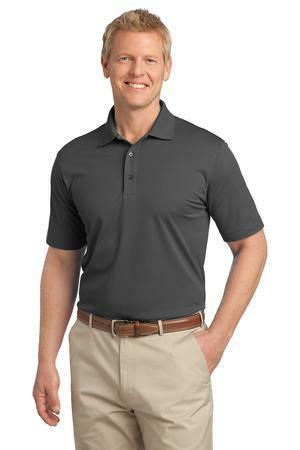 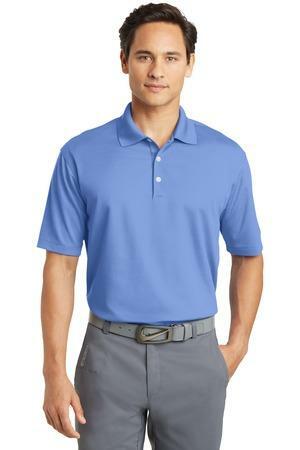 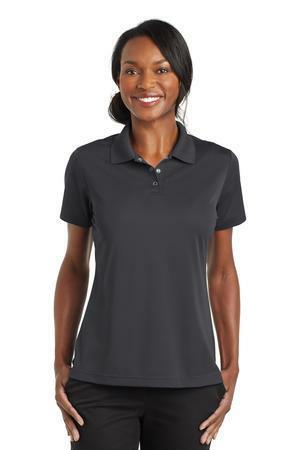 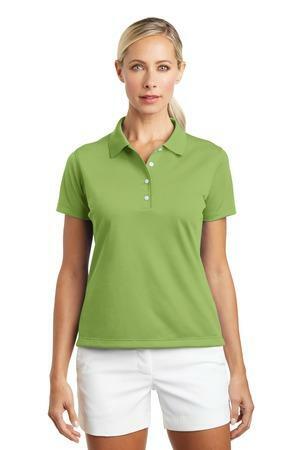 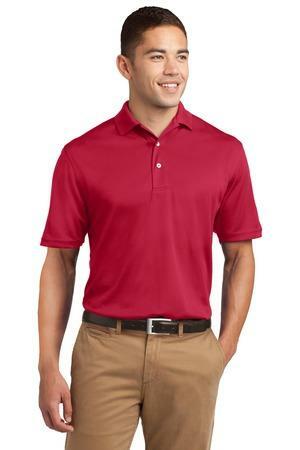 These polo shirts that are made with 100% cotton are not only soft but also generally heavier than 50/50 cotton blend items, giving them a high-quality feel. 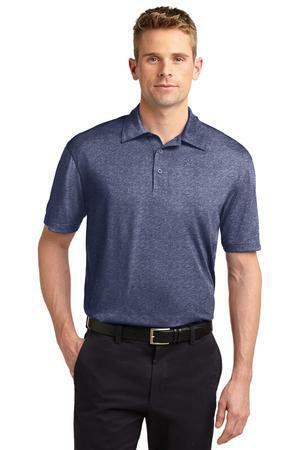 Plus, many of them are made using organic cotton, which is great for our customers who are worried about the environmental impact of their fabric choices. 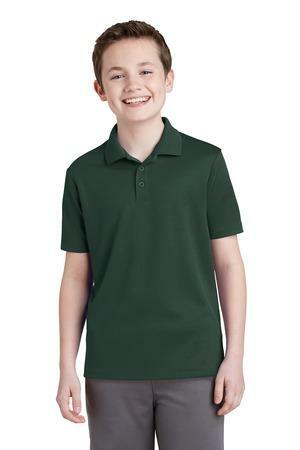 Our cotton polo shirts are preshrunk. 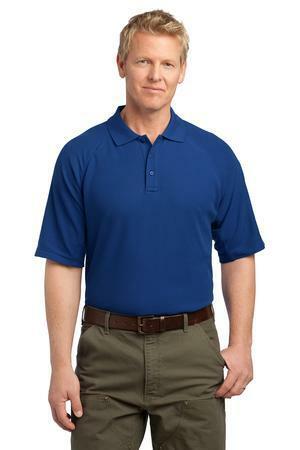 the fabric has been preshrunk. 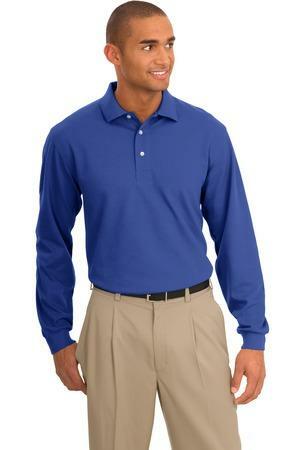 In this process, the uncut fabric is run through nubbed rollers that create grooves to condense the fabric. 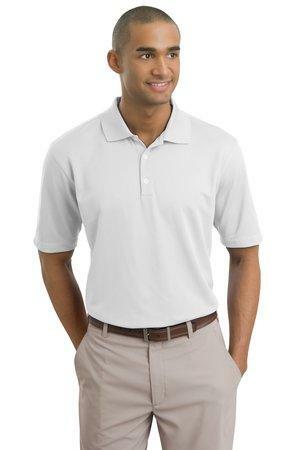 Then when you wash it the shrinkage is not as noticable. 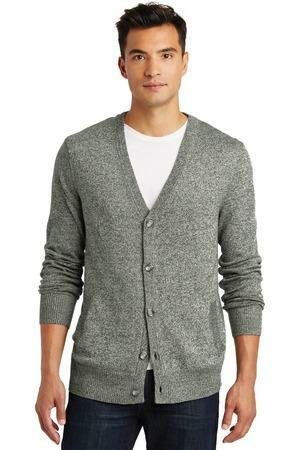 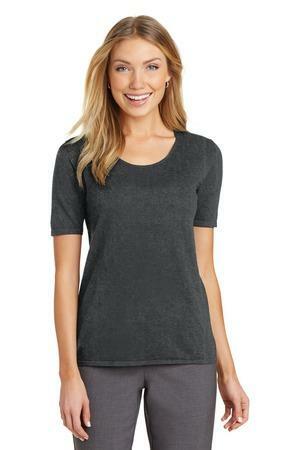 We caution against using 100% ringspun cotton because the texture can lead to a fuzzy imprint after numerous washes. 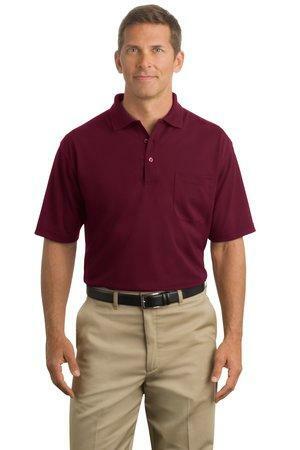 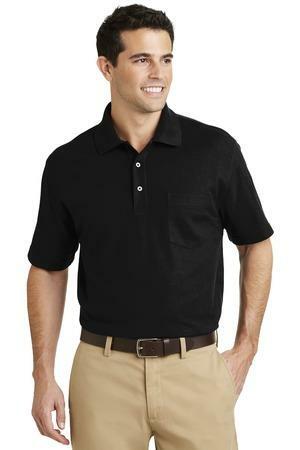 Polyester polo shirts can be confusing because of all the different names. 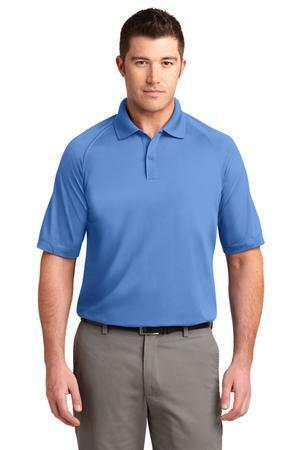 Some people refer to them as breathable, moisture wicking, poly, sport-wick, etc. What all these names have in common is the material is made of polyester. 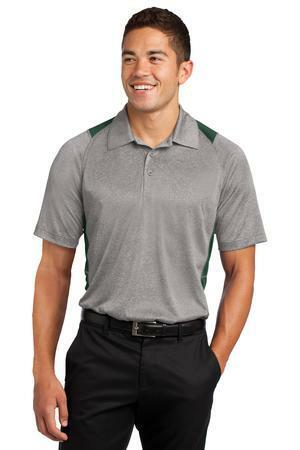 This material lets moisture (sweat) in the form of a vapor to pass through them making you less likely to sweat. 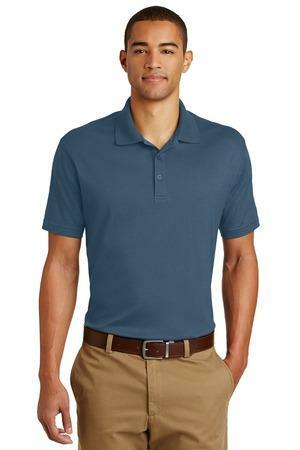 Polyester is a synthetic fabric, made specifically for some of the qualities cotton does not offer. 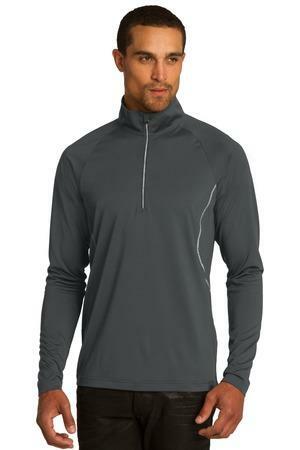 It is a more flexible fiber, making the fabric more tear-resistant and pill resistant. 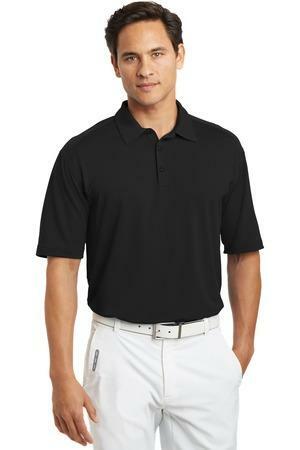 This is a great option for golf teams, tennis teams or any corporate events that are held in warm environments. 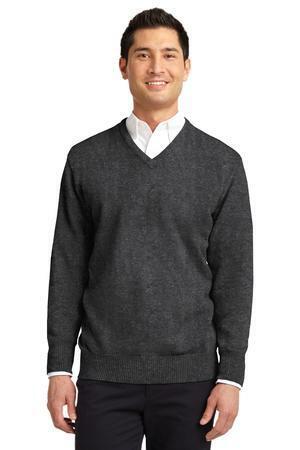 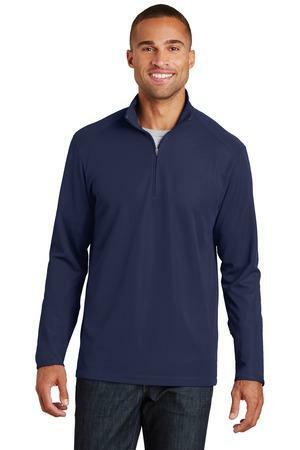 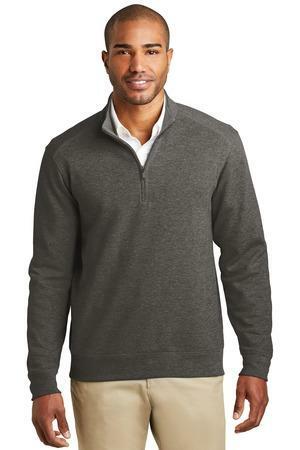 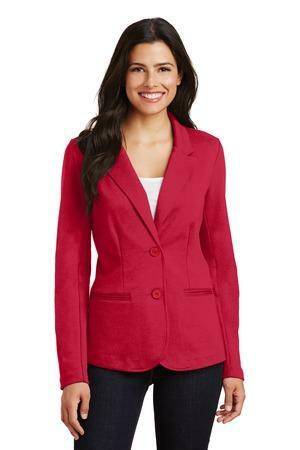 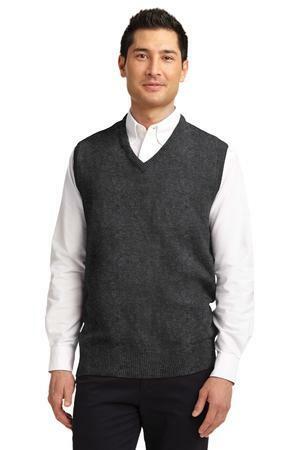 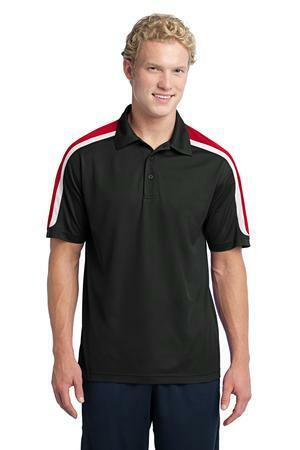 Many trade show customers choose this option to keep their sales force cool and professional looking. 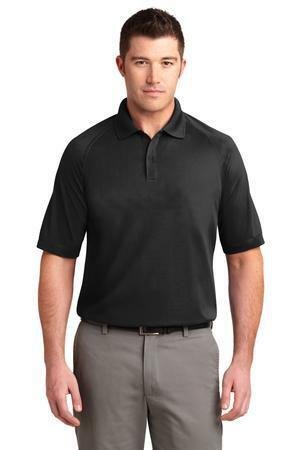 Our 50/50 cotton/polyester blend have been made with both types of fibers to take advantage of the best qualities of each. 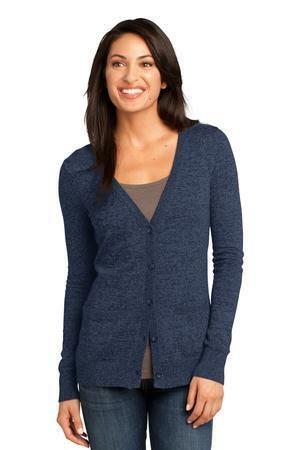 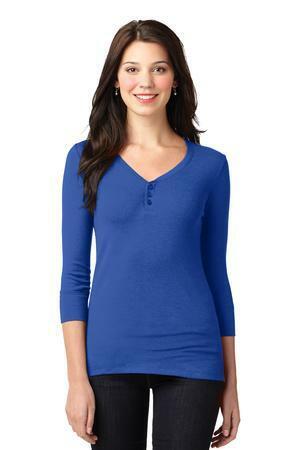 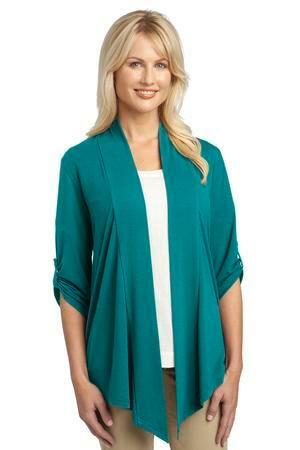 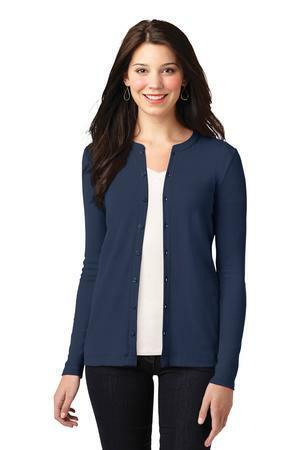 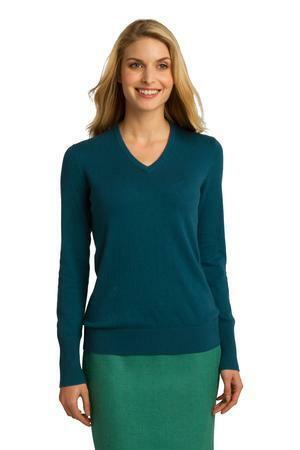 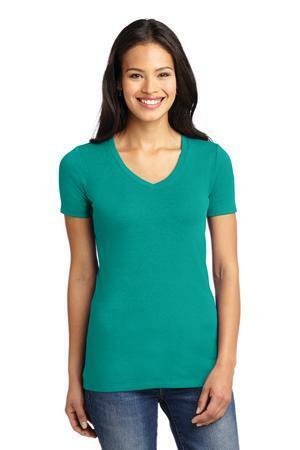 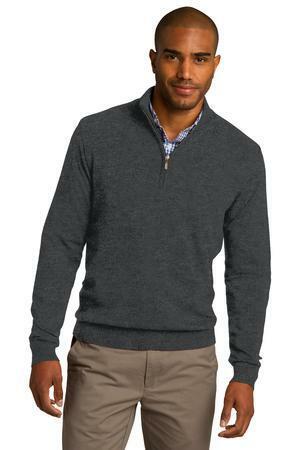 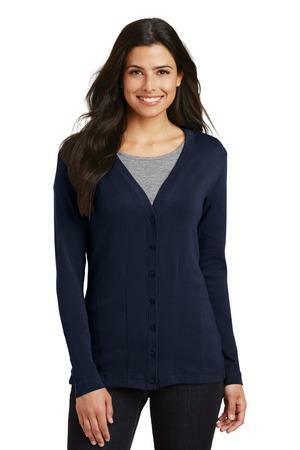 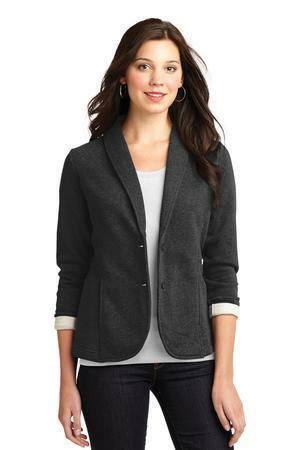 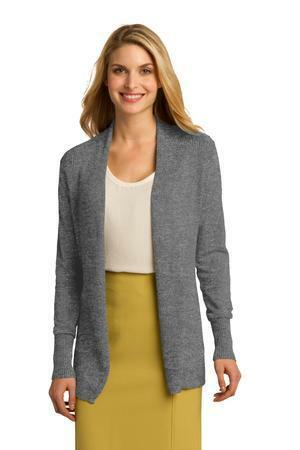 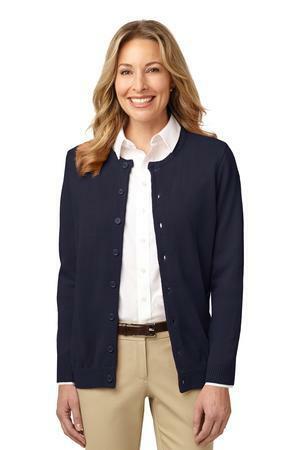 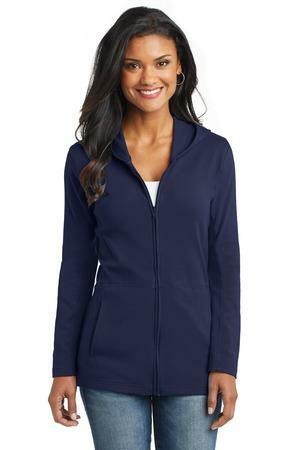 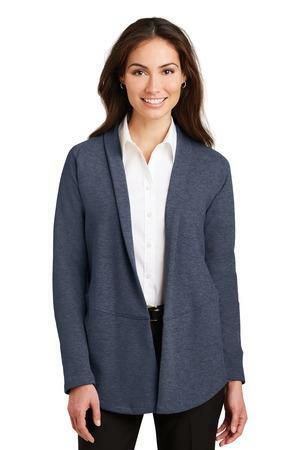 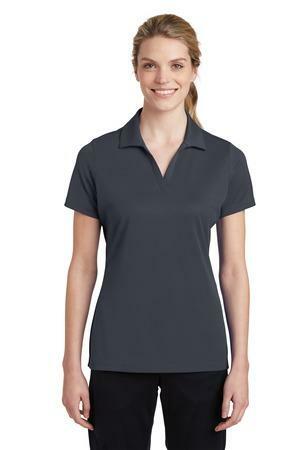 A 50/50 blend is both breathable and pill-resistant. 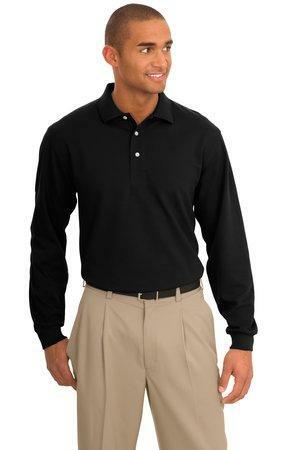 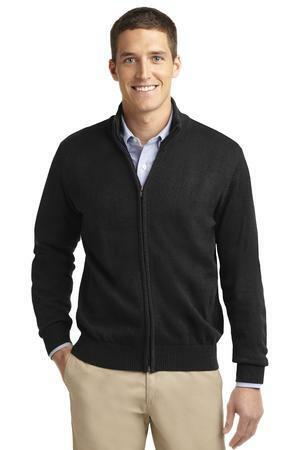 They are less expensive than 100% cotton and still offer comparable comfort. 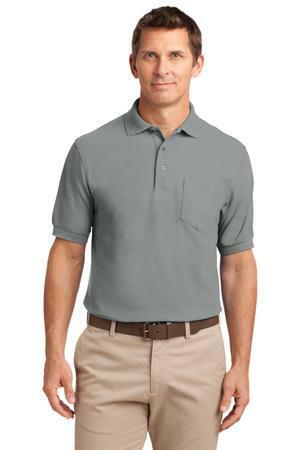 The 50/50 blend prevents the fabric from shrinking. 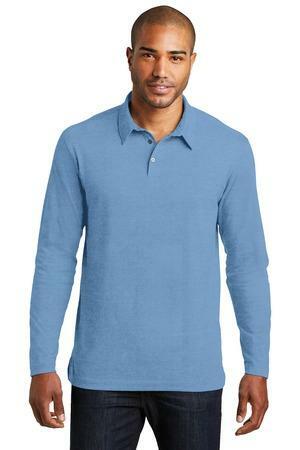 When we talk about items made from a 50/50 cotton blend, we are most often talking about items that are half cotton, half polyester. 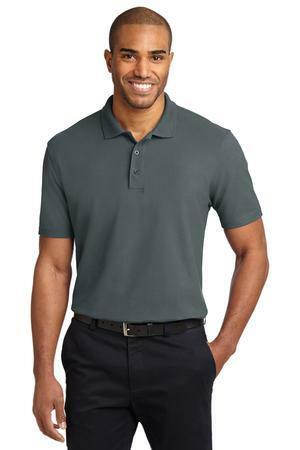 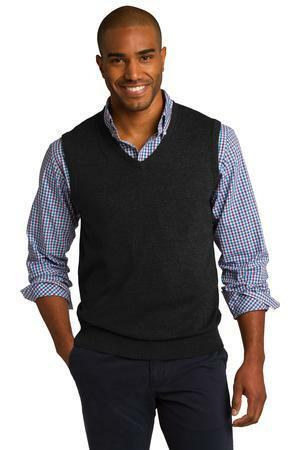 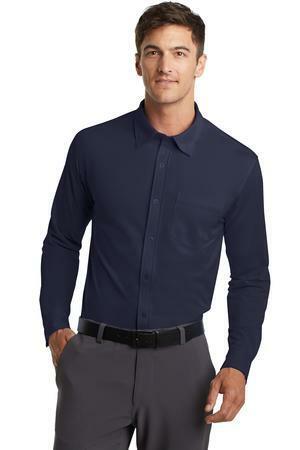 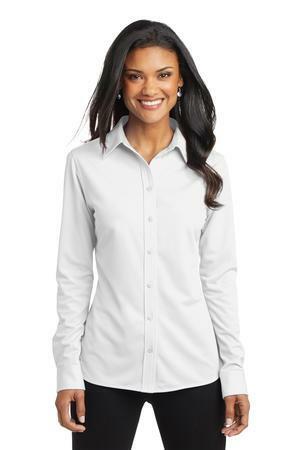 This combination of a breathable, natural fabric with an affordable, industrially made one is one of the most common in the textile industry.A shirt made from a cotton blend is easy to care for. 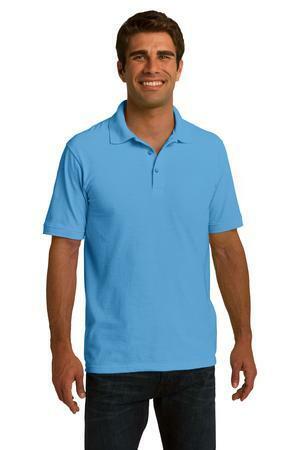 It’s less likely to shrink or wrinkle than a shirt made from pure cotton, and it’s often easier to clean. 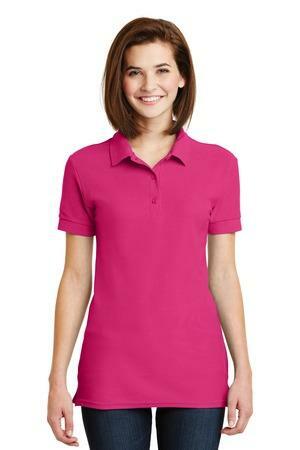 Some people argue that cotton blends are more environmentally friendly, because they use less cotton, which is a crop that requires a lot of water to grow. 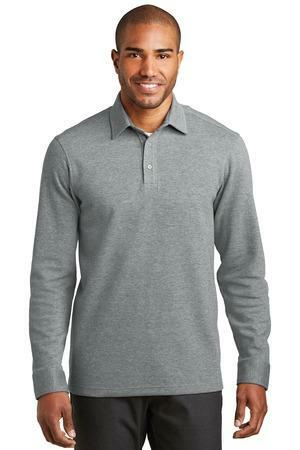 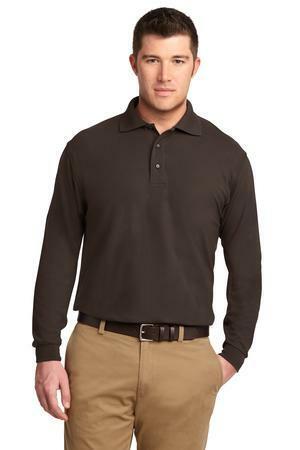 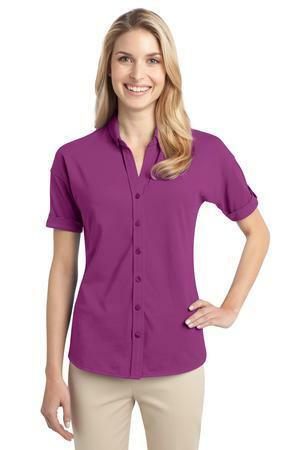 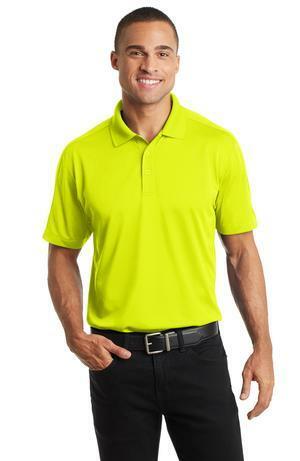 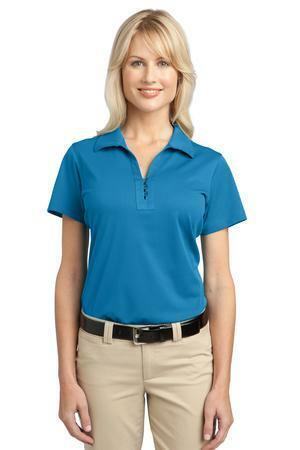 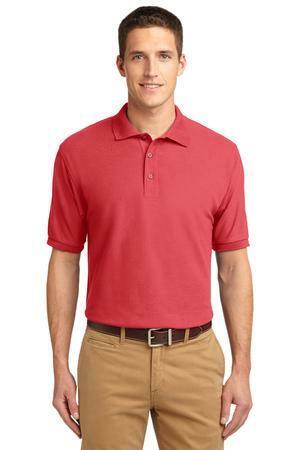 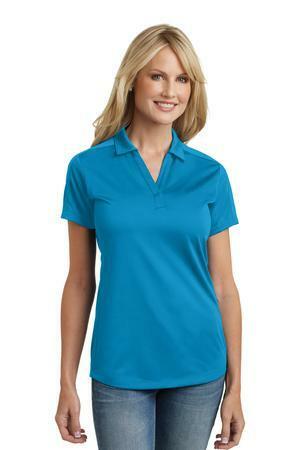 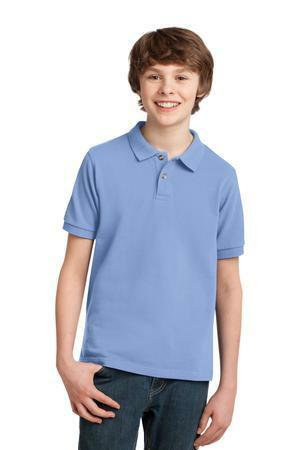 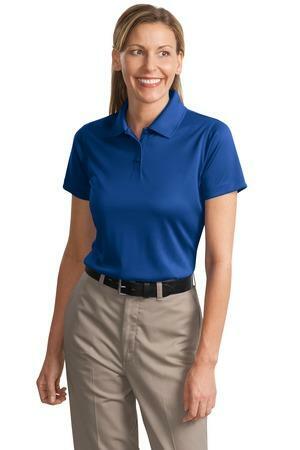 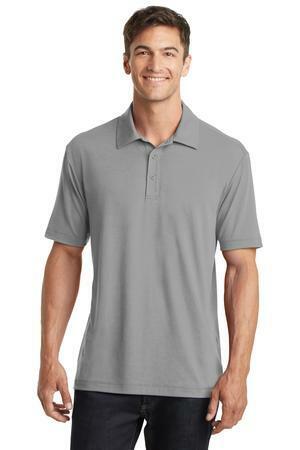 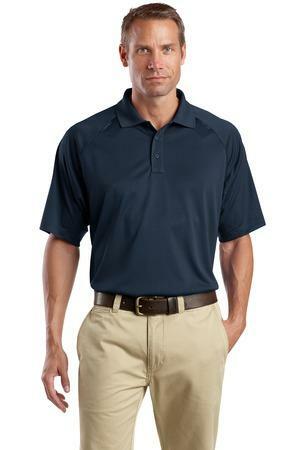 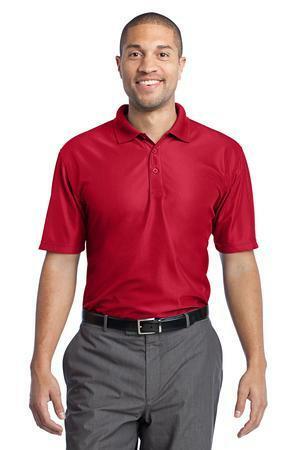 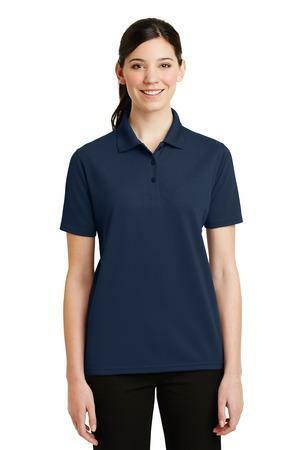 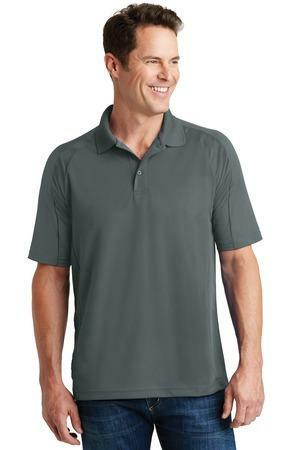 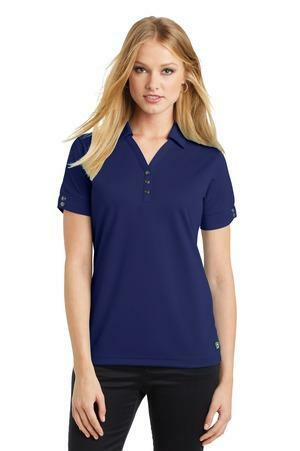 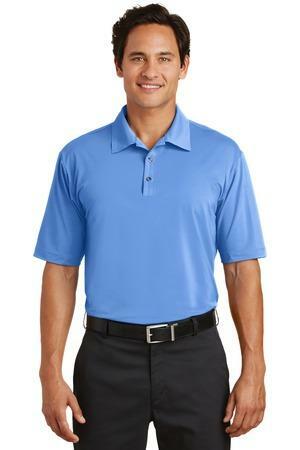 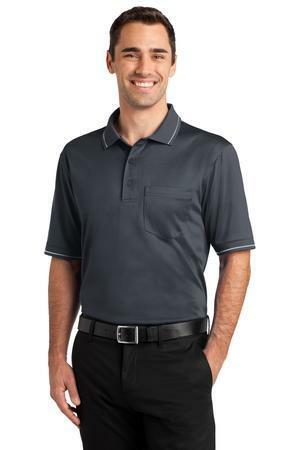 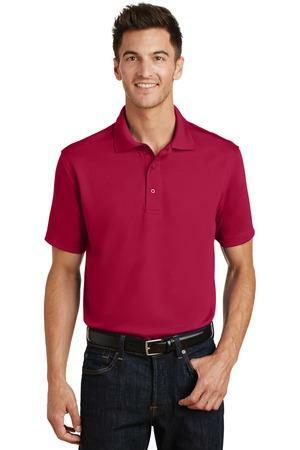 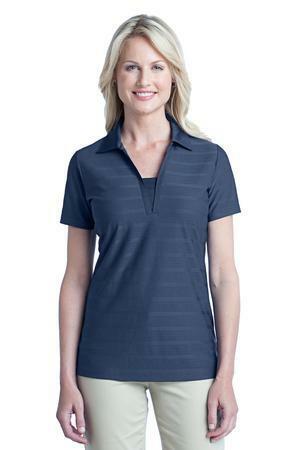 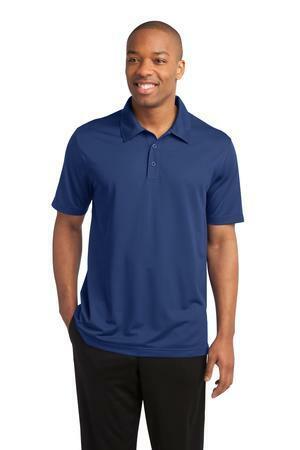 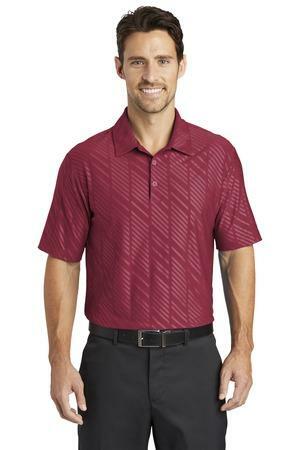 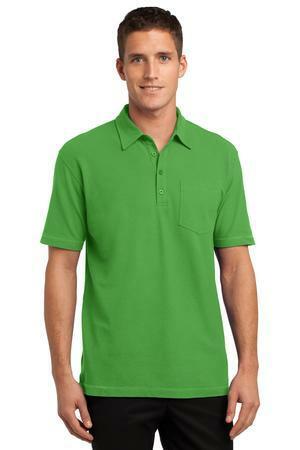 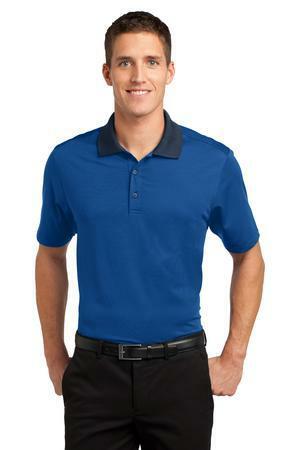 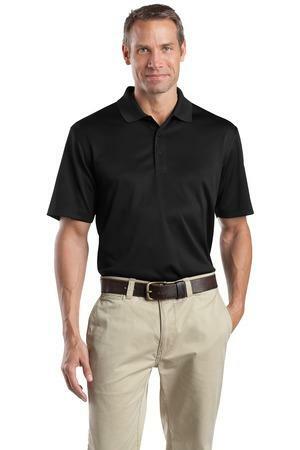 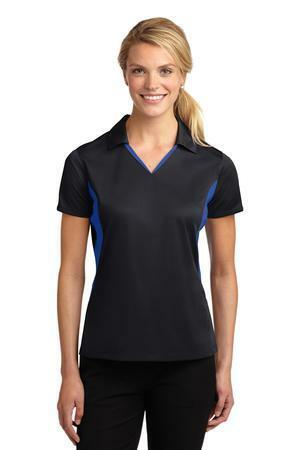 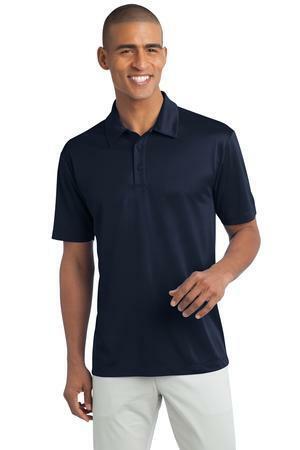 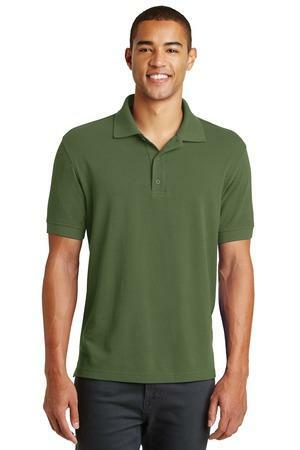 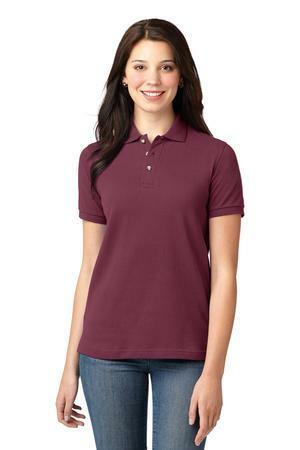 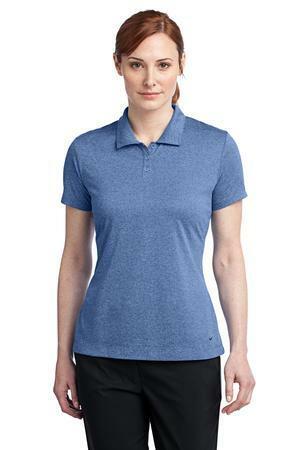 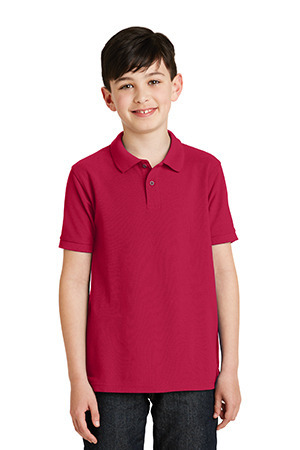 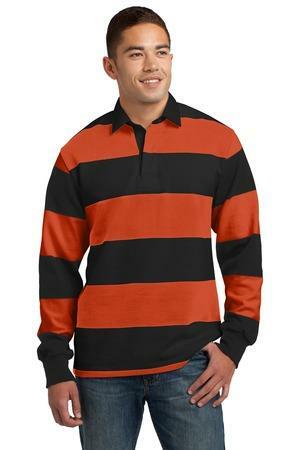 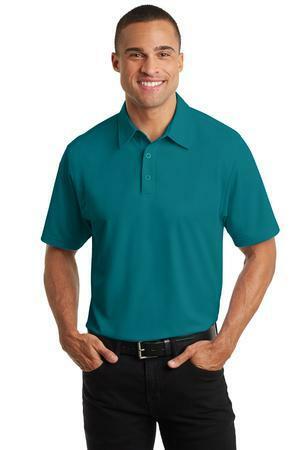 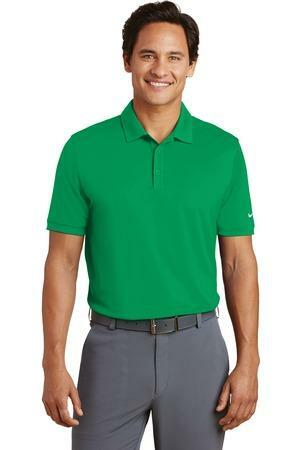 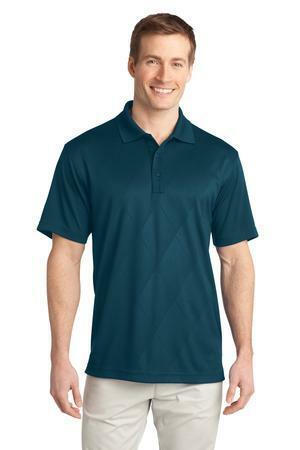 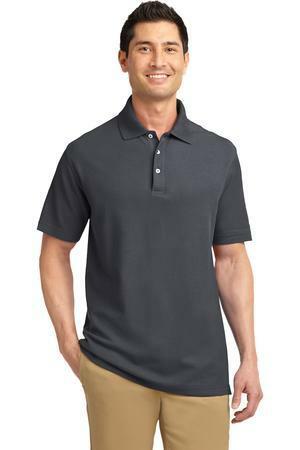 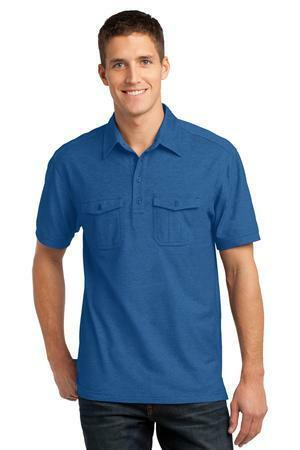 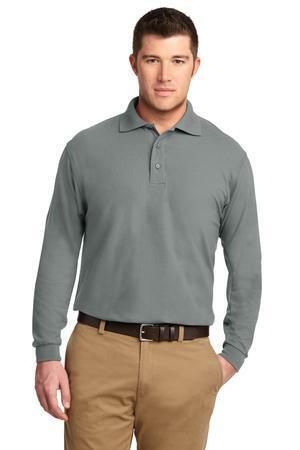 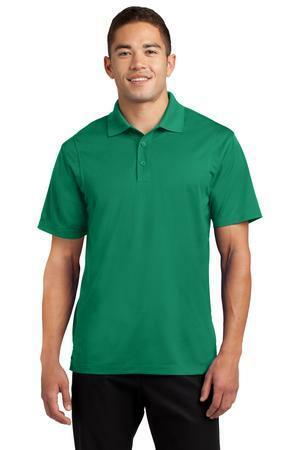 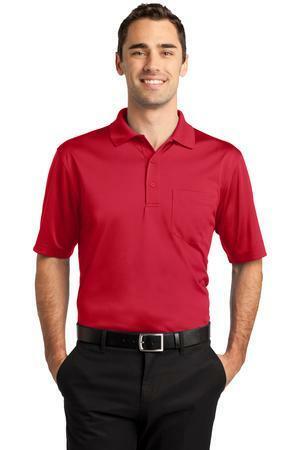 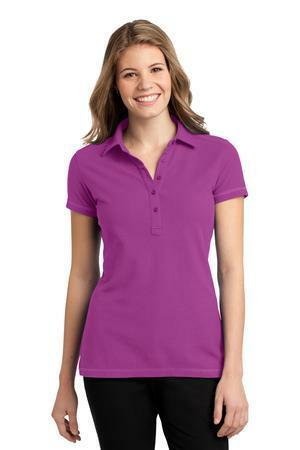 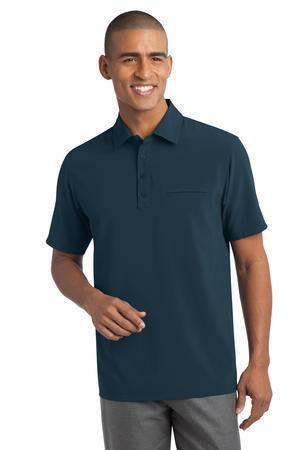 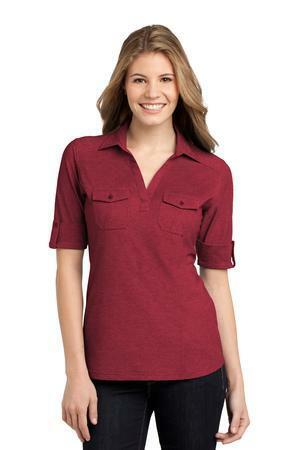 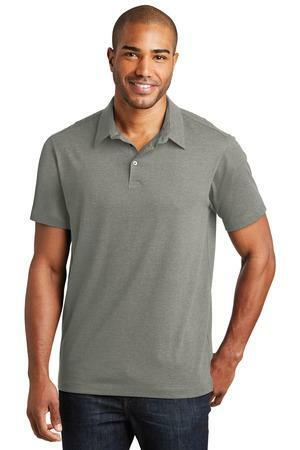 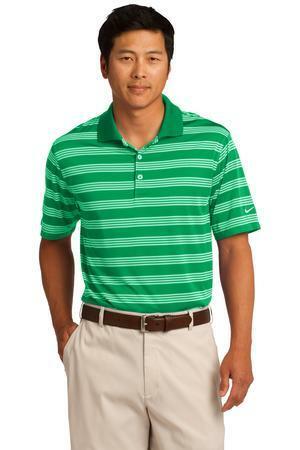 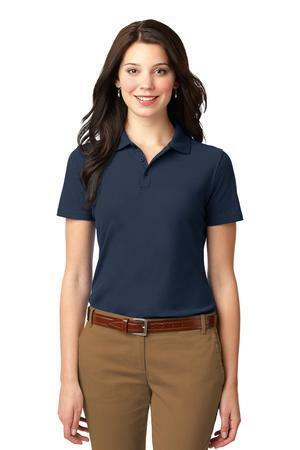 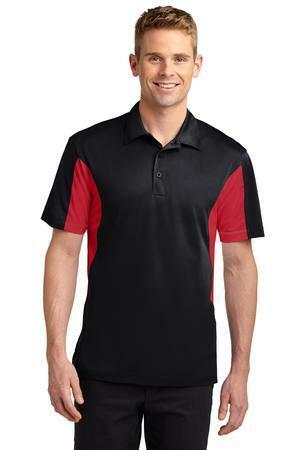 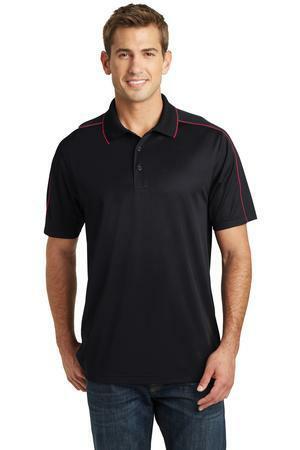 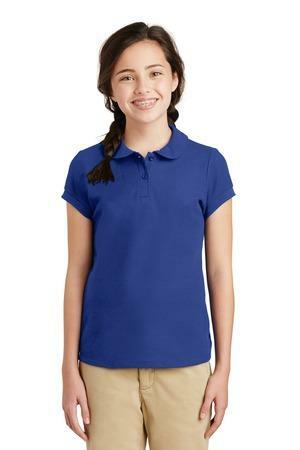 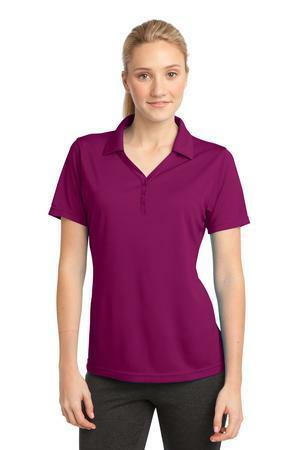 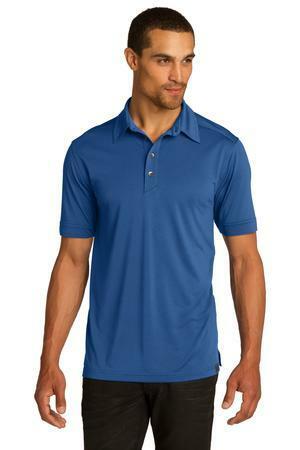 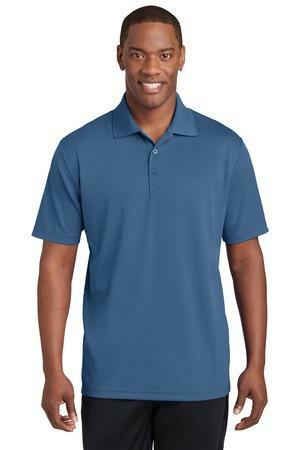 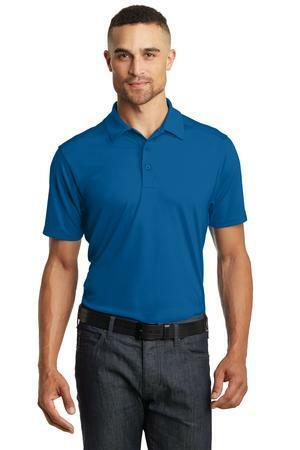 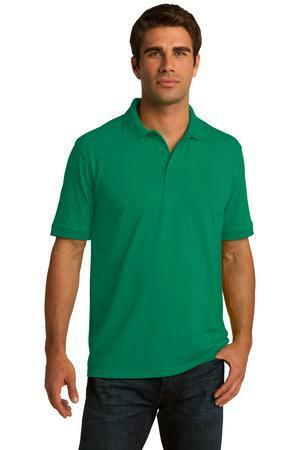 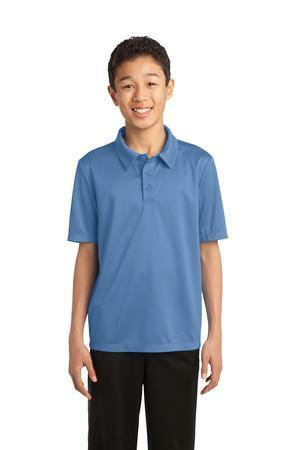 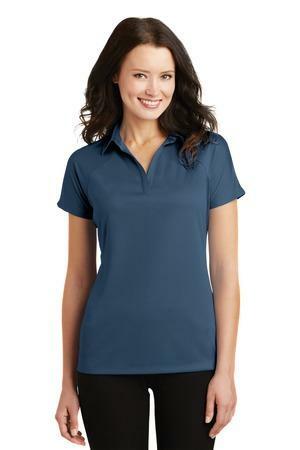 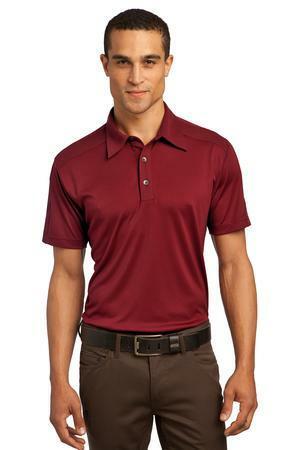 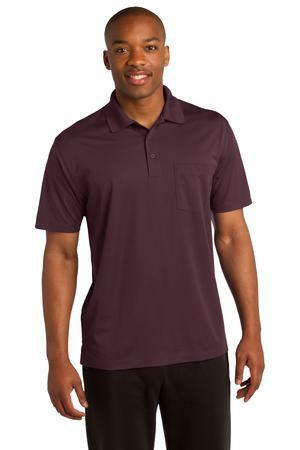 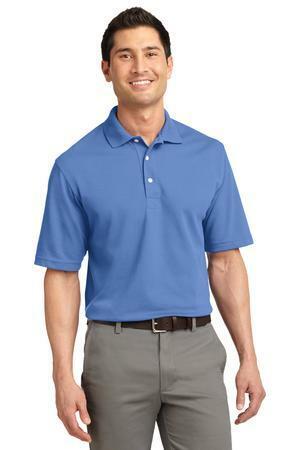 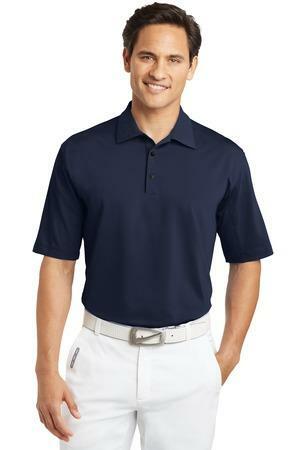 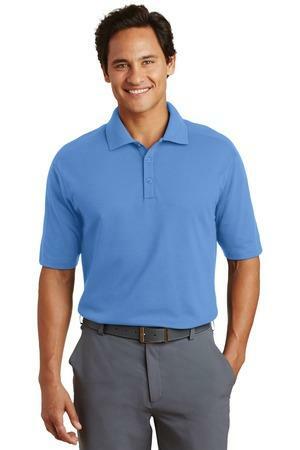 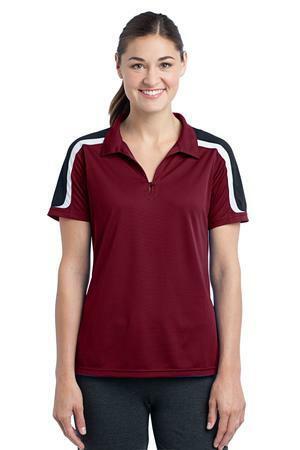 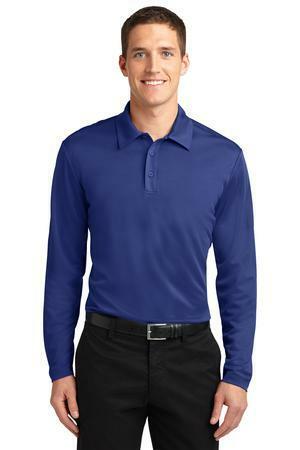 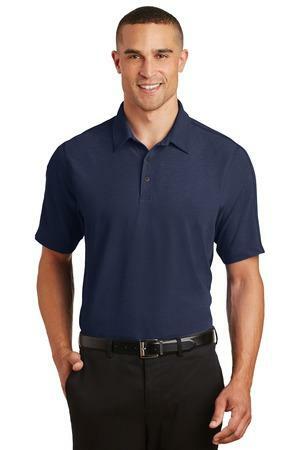 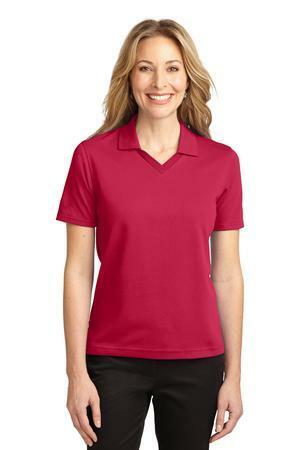 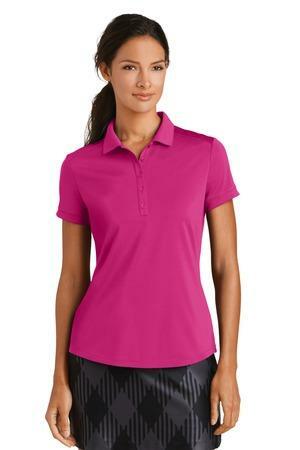 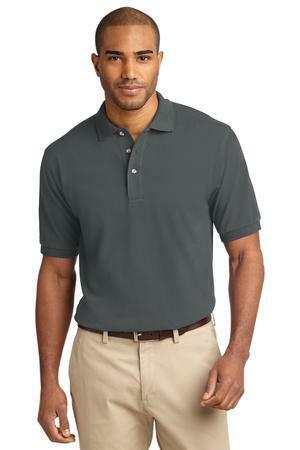 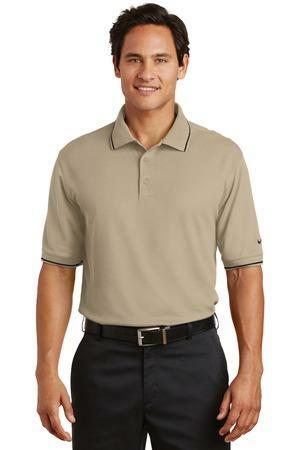 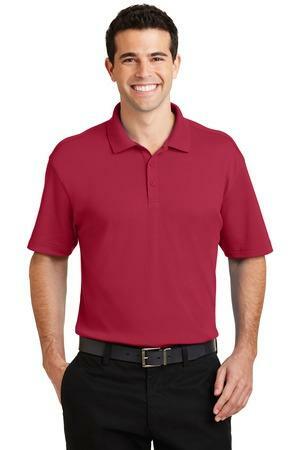 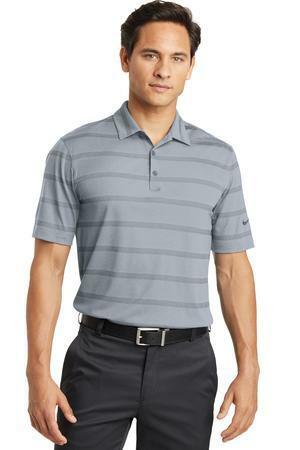 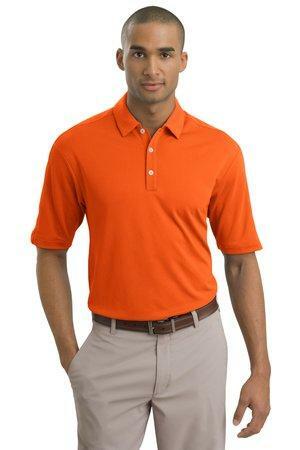 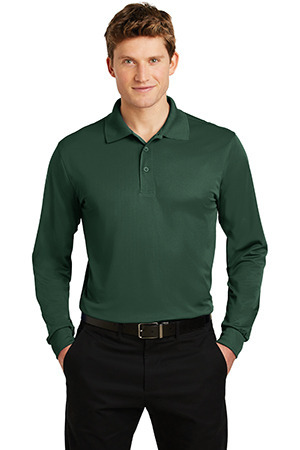 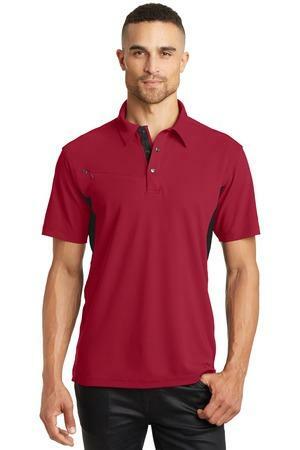 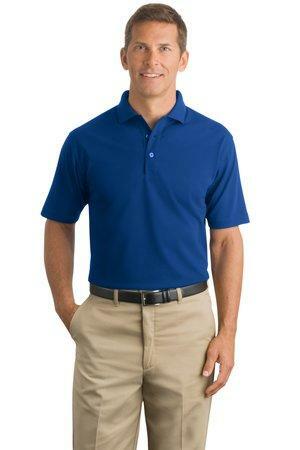 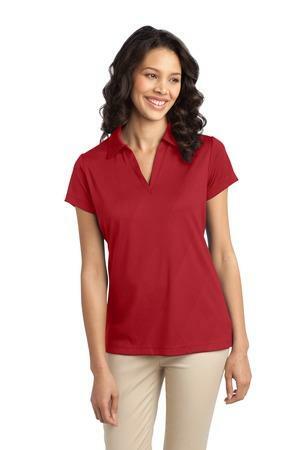 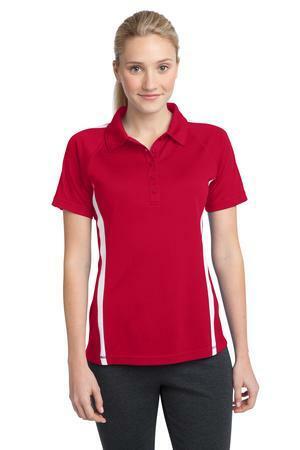 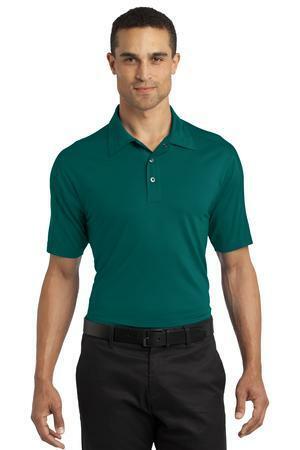 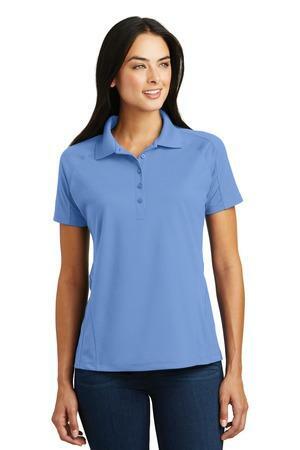 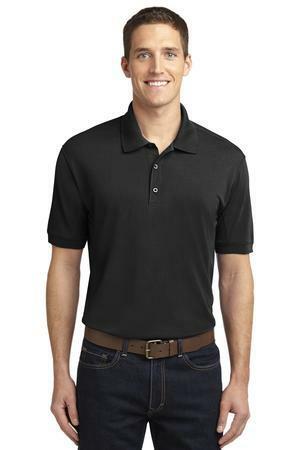 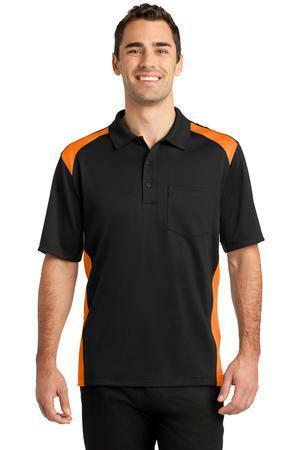 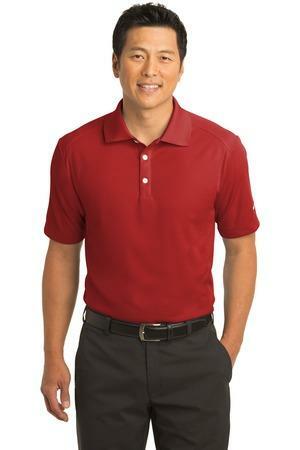 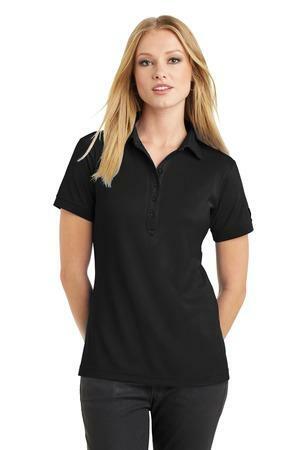 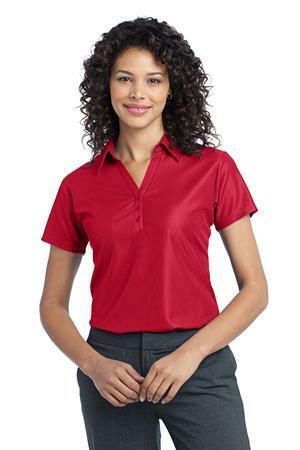 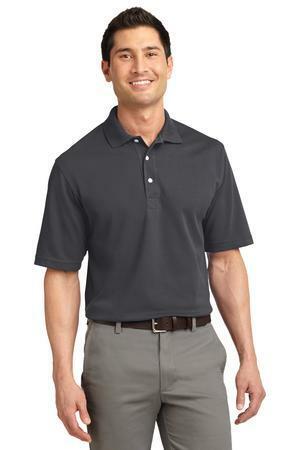 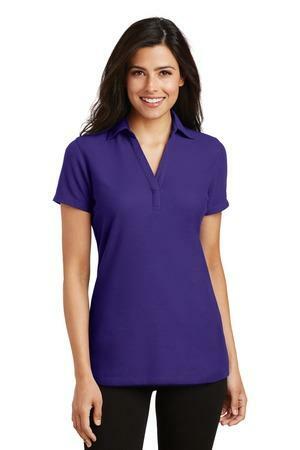 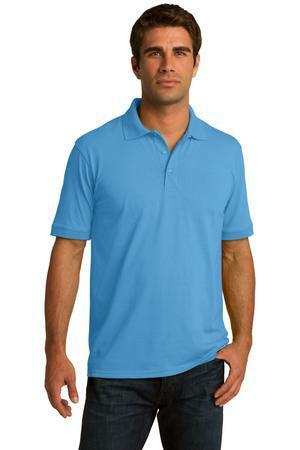 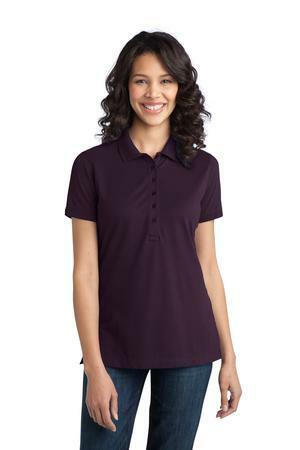 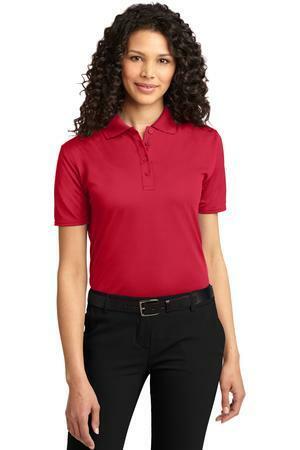 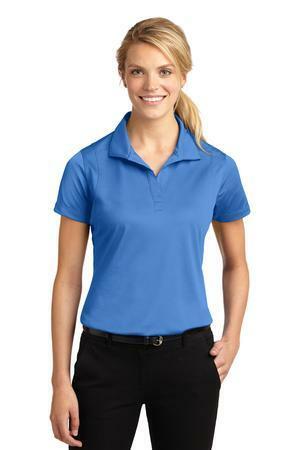 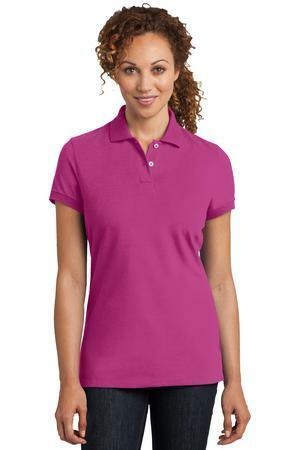 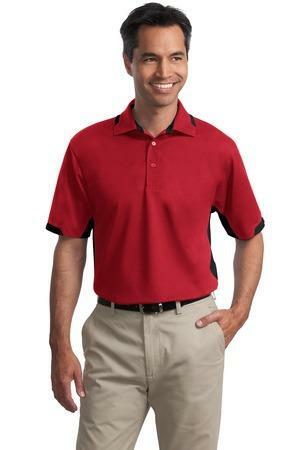 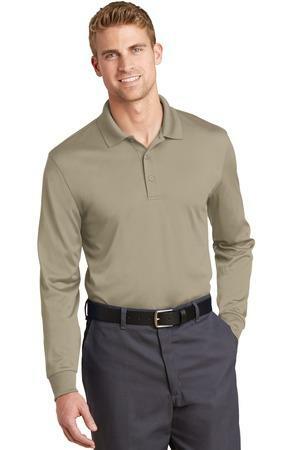 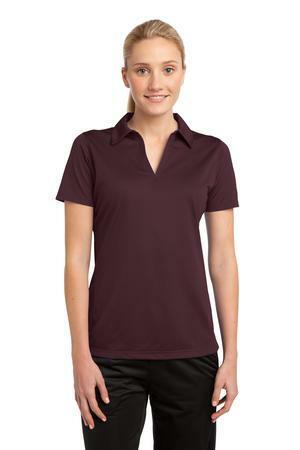 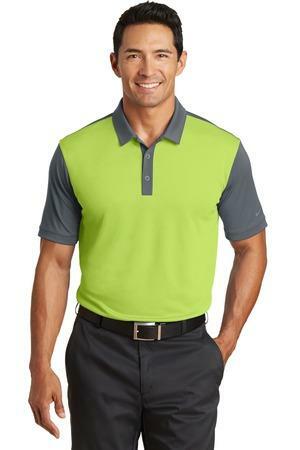 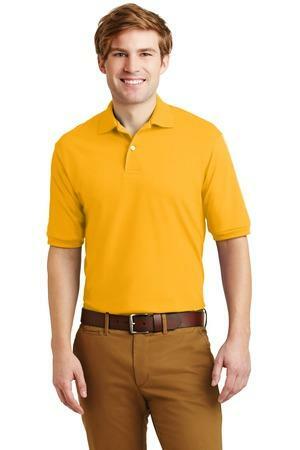 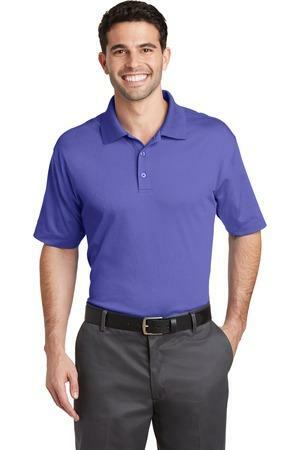 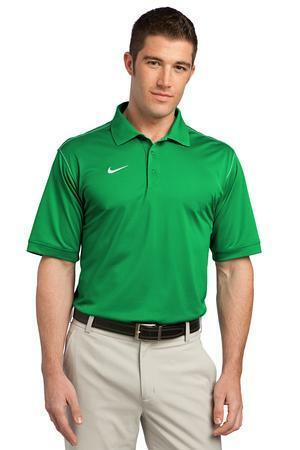 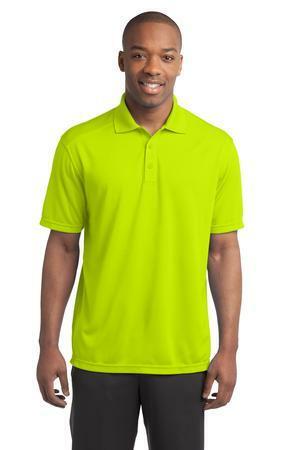 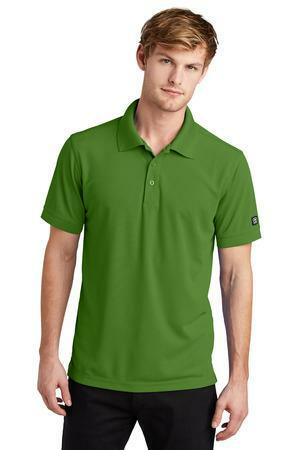 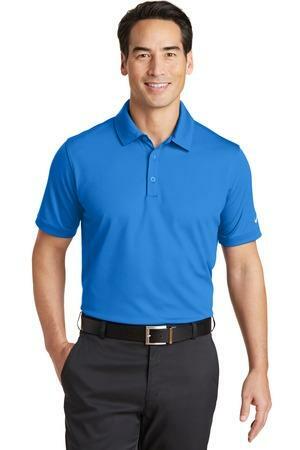 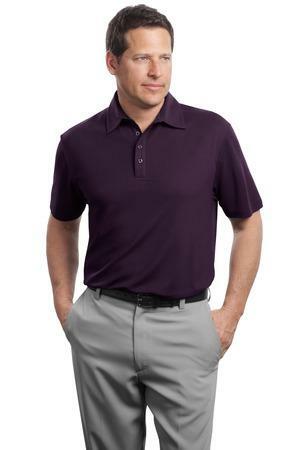 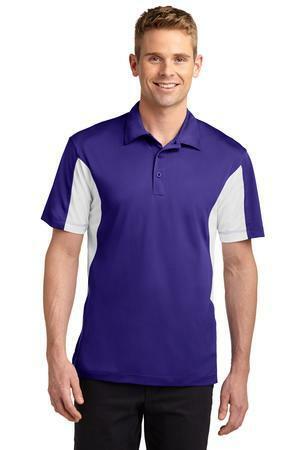 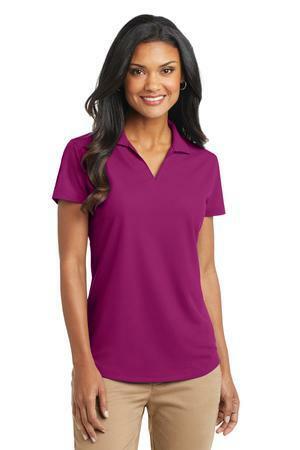 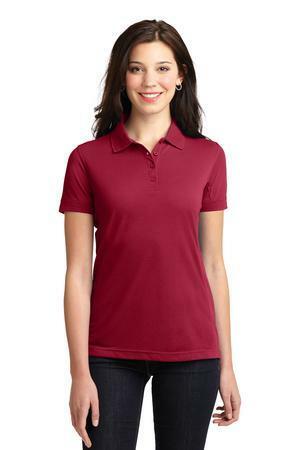 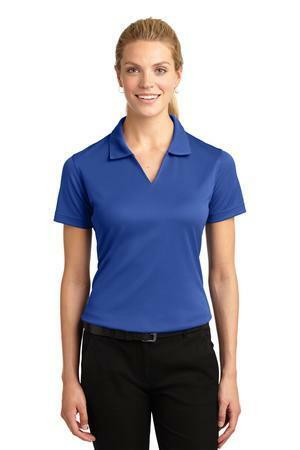 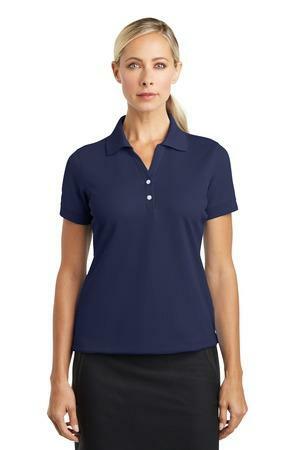 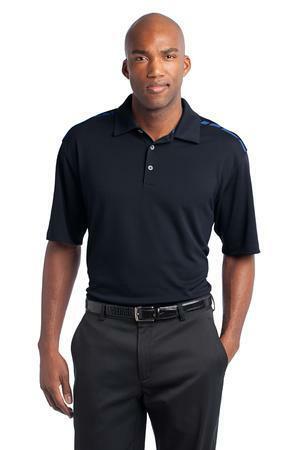 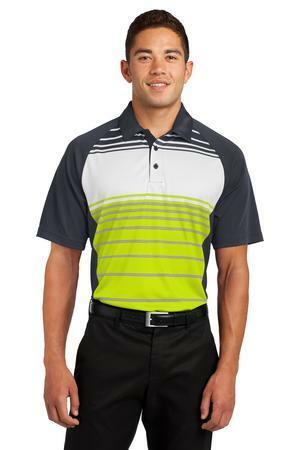 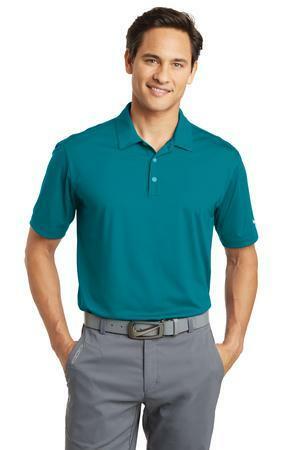 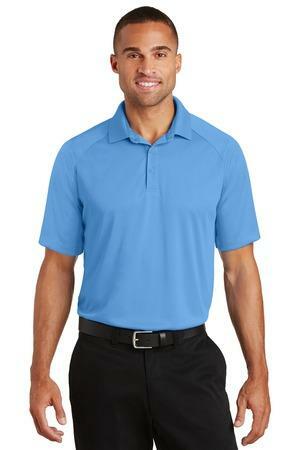 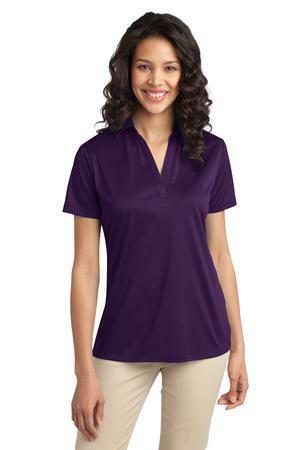 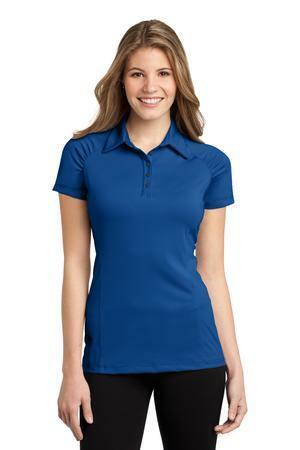 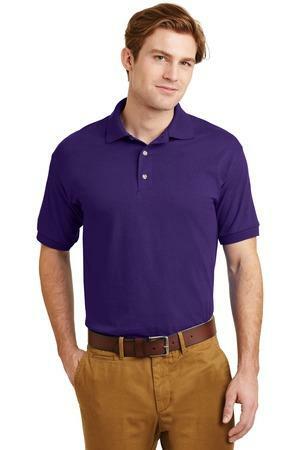 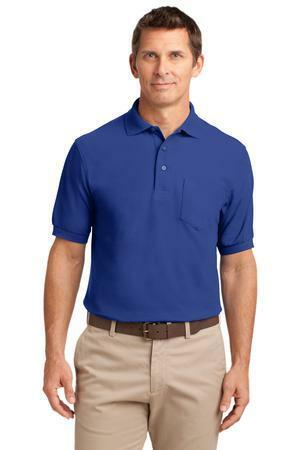 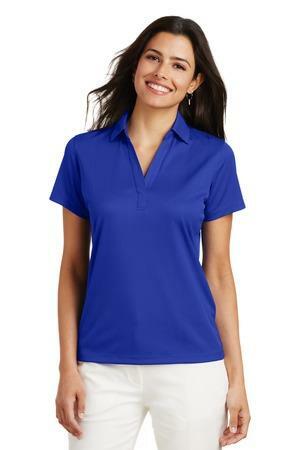 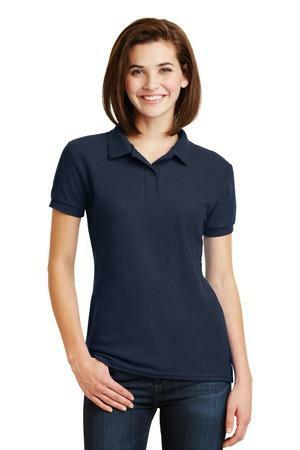 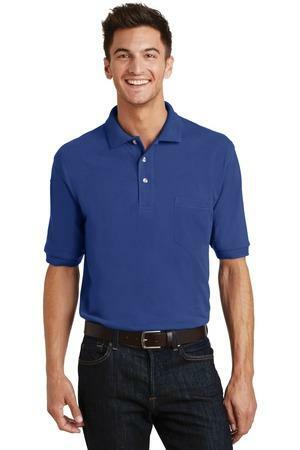 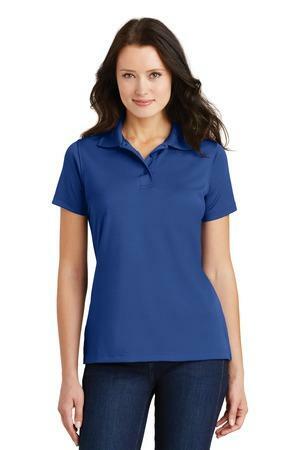 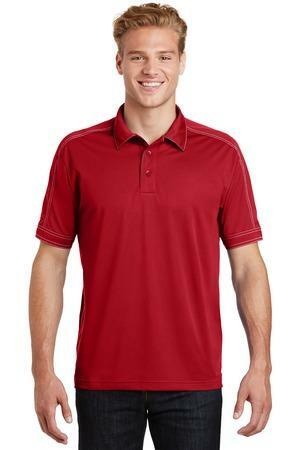 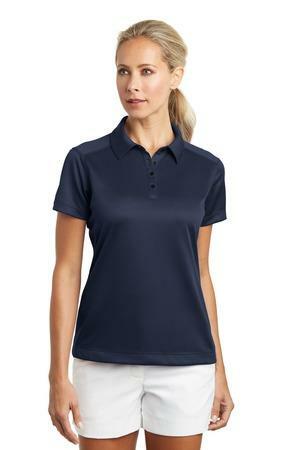 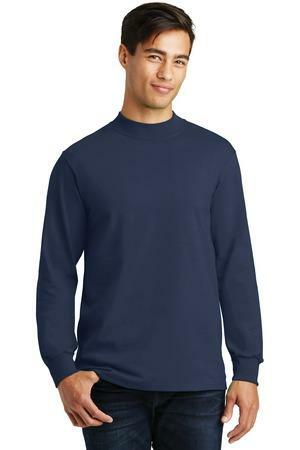 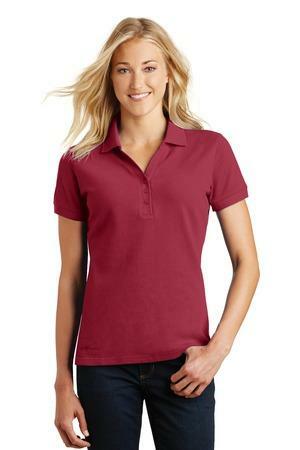 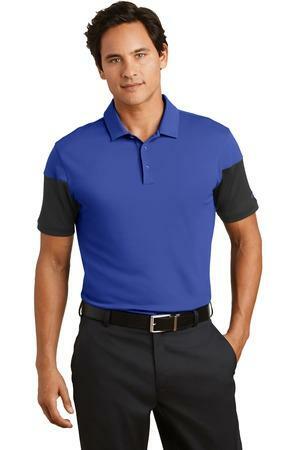 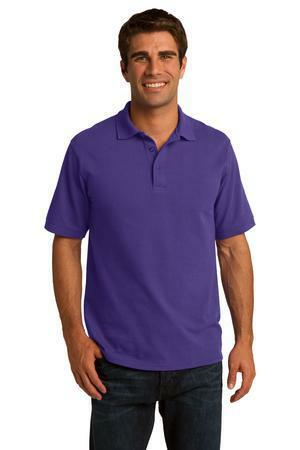 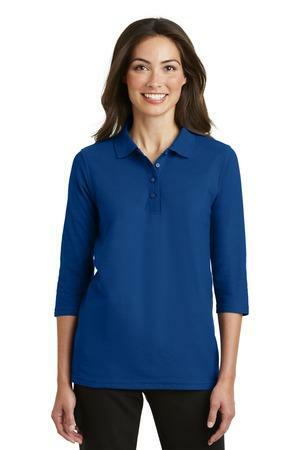 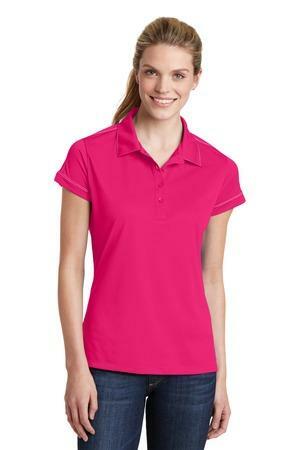 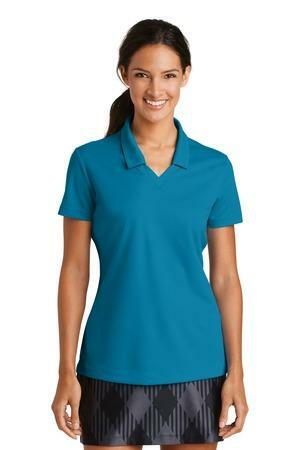 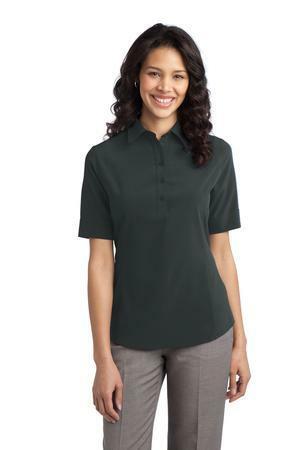 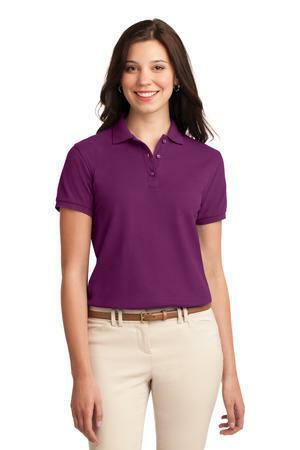 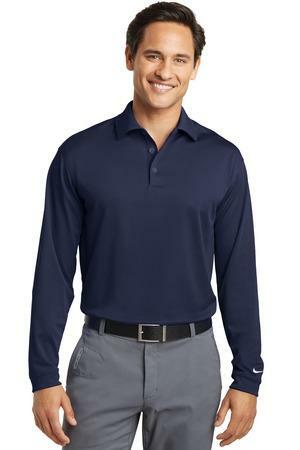 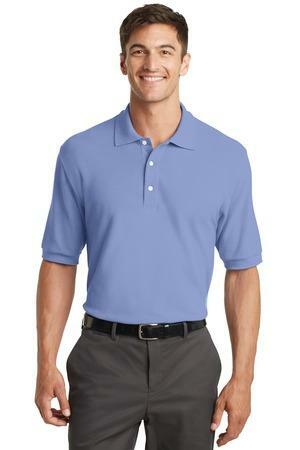 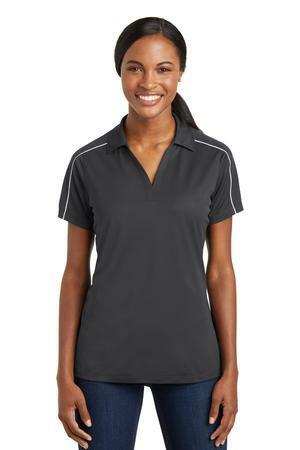 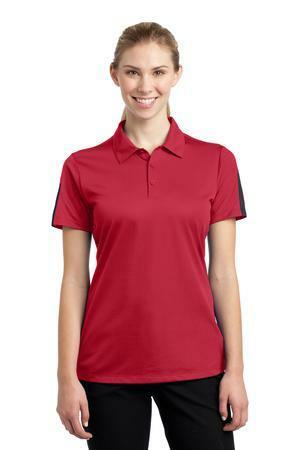 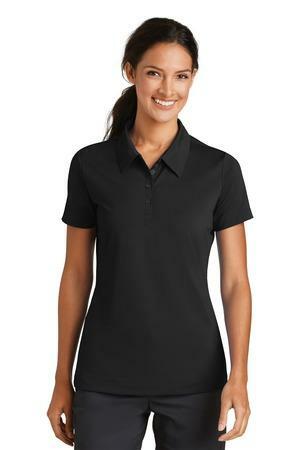 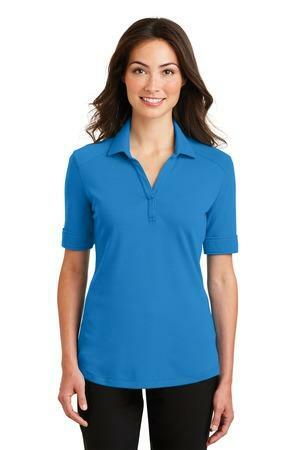 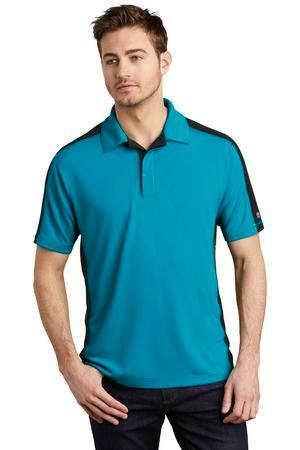 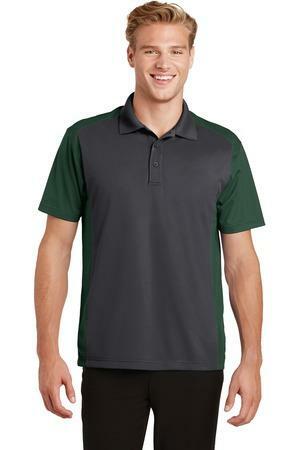 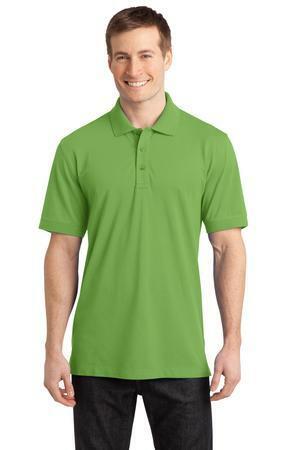 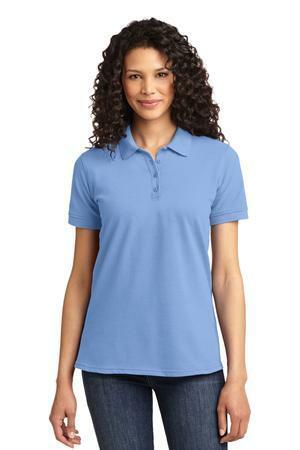 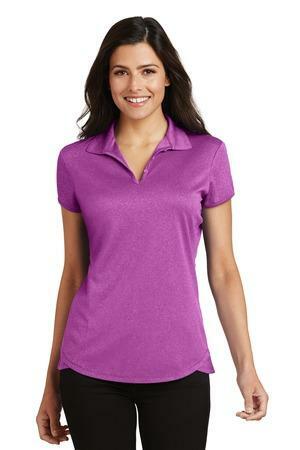 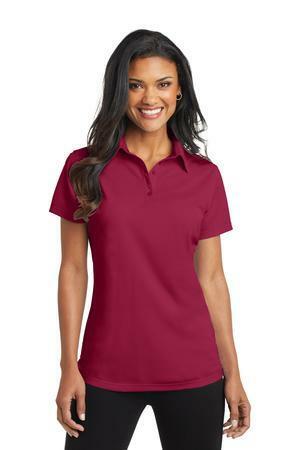 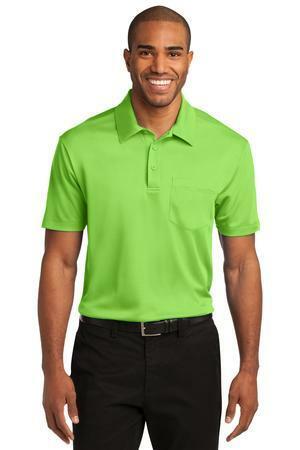 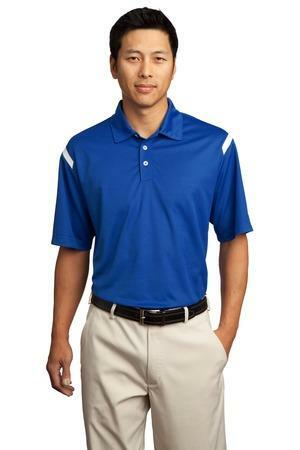 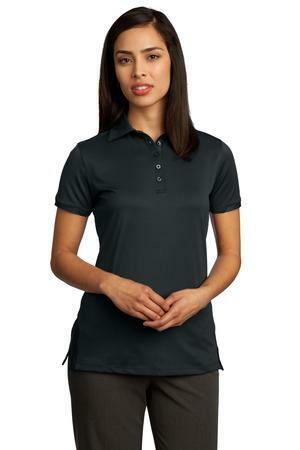 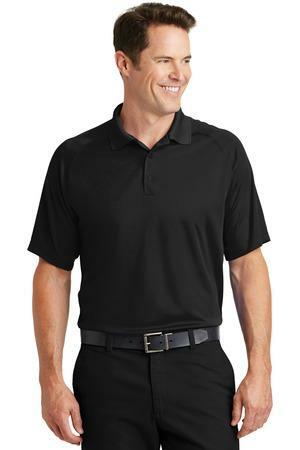 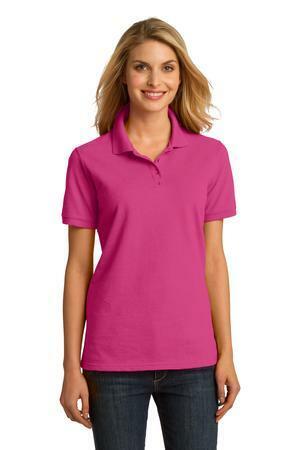 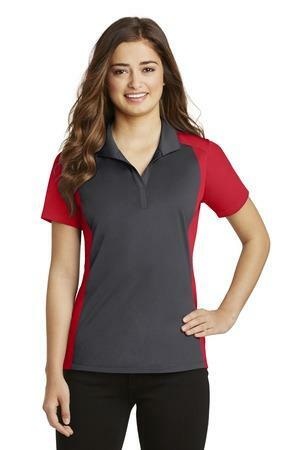 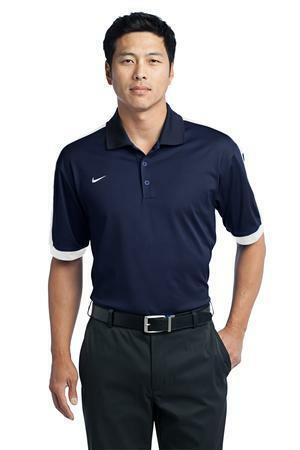 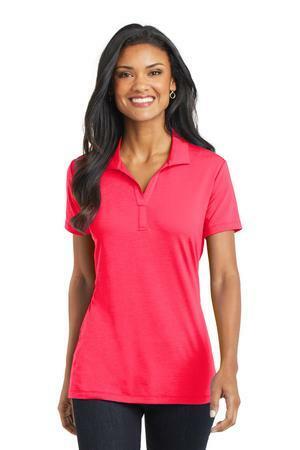 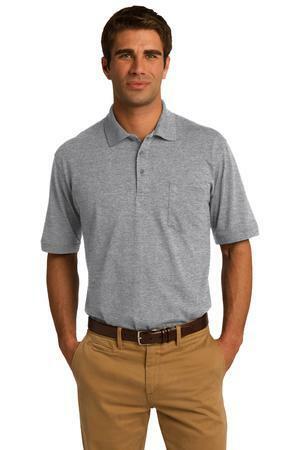 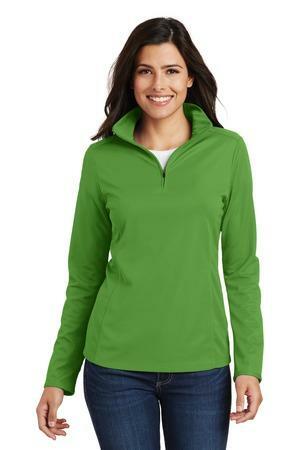 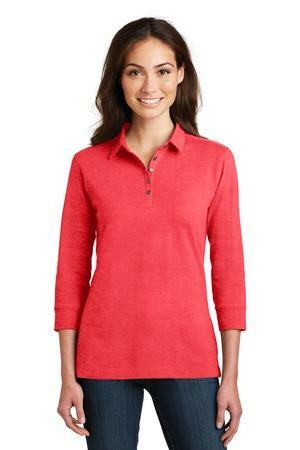 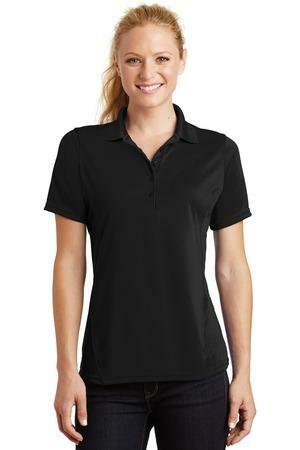 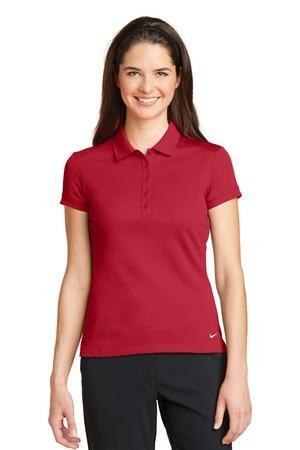 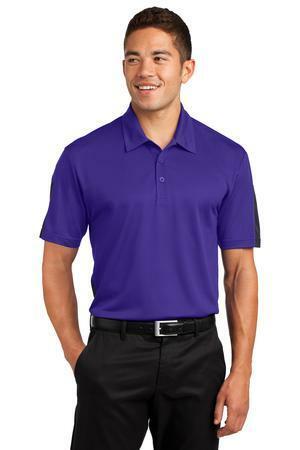 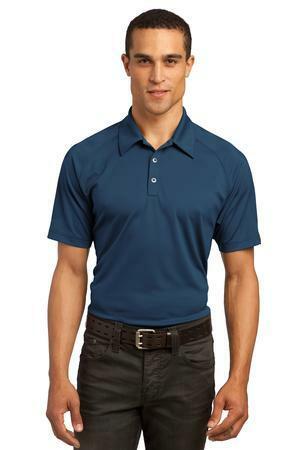 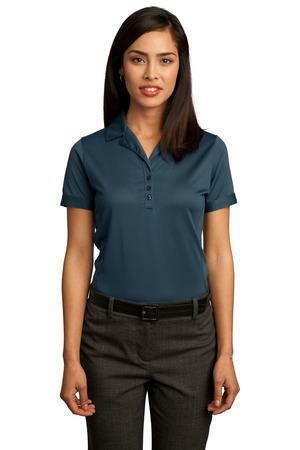 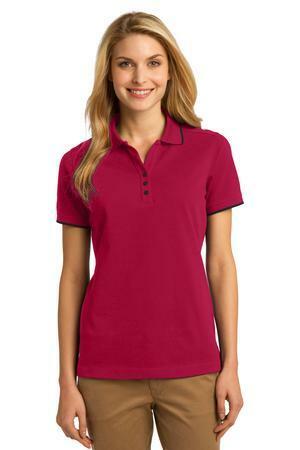 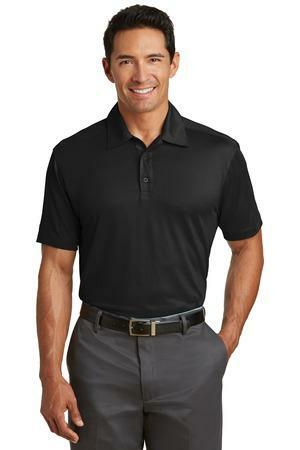 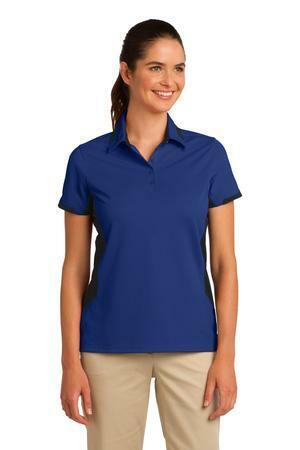 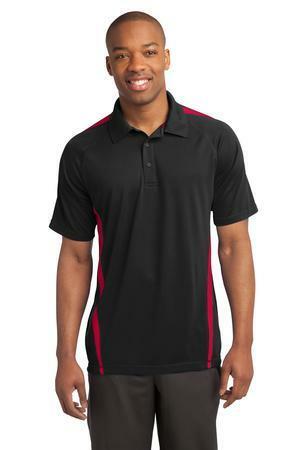 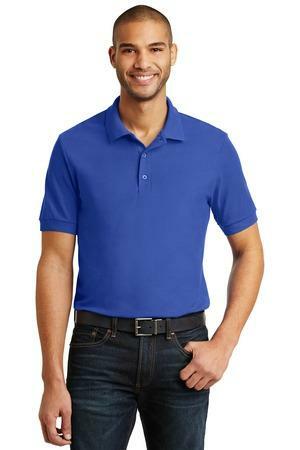 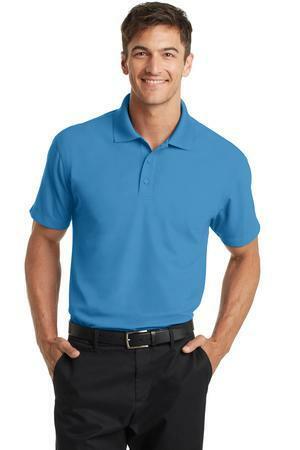 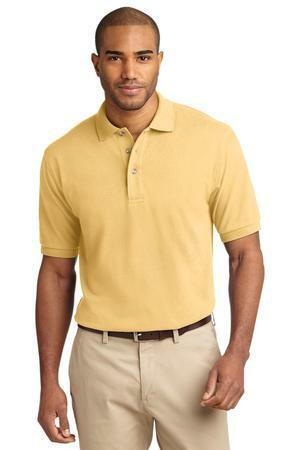 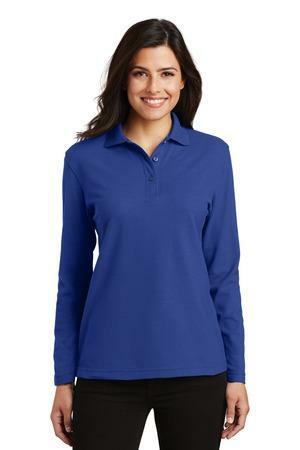 These polo shirts hold your embroidered design well and will hold up to washing. 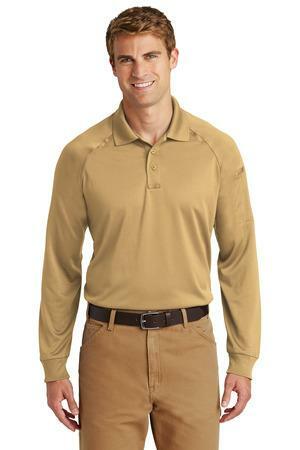 Check out our sister company, Campfire Premiums, for your drinkware needs.